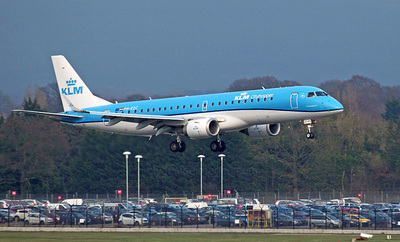 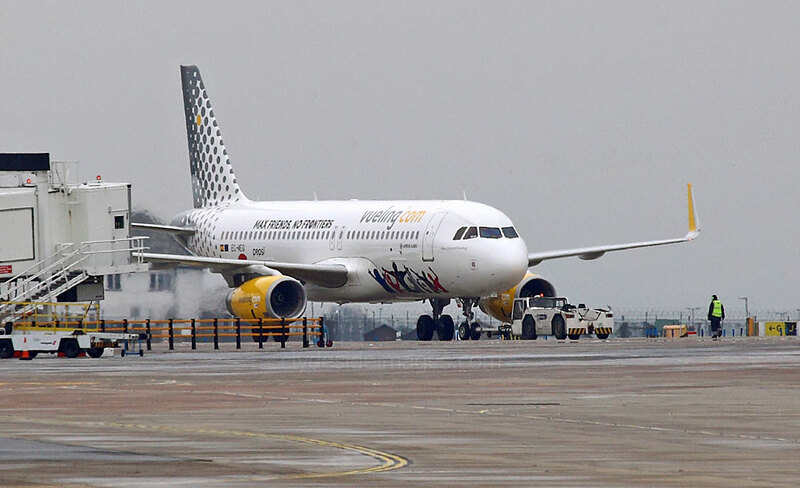 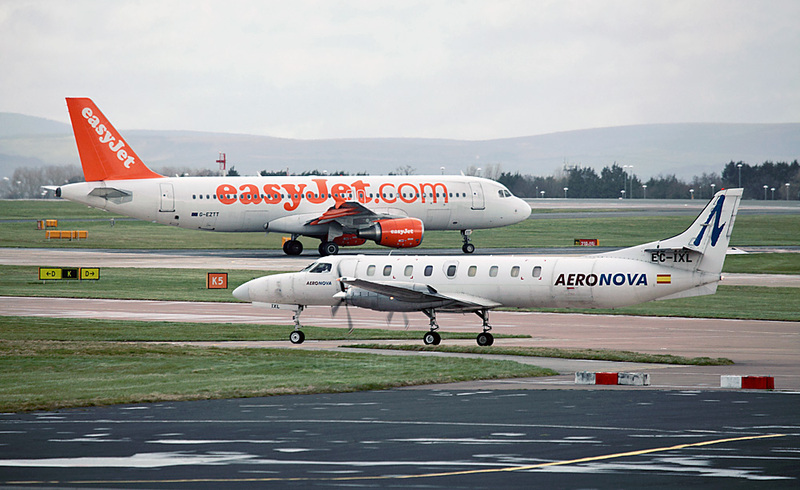 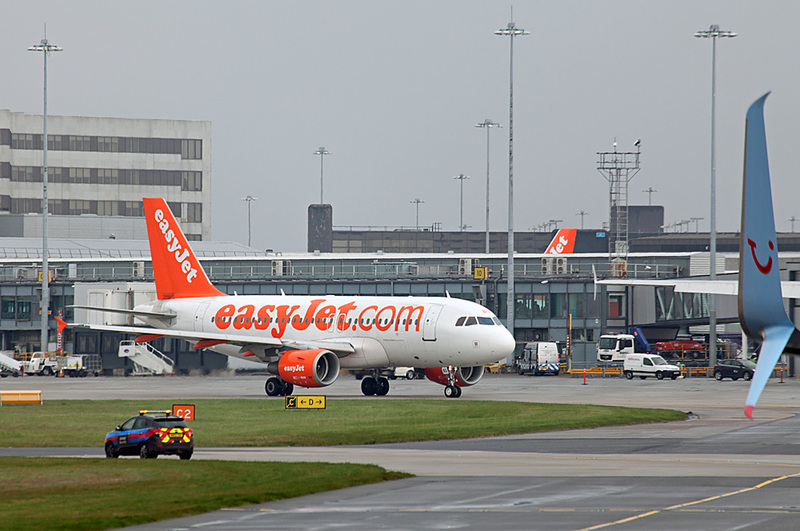 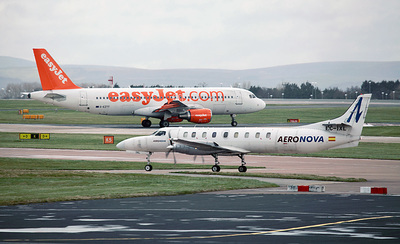 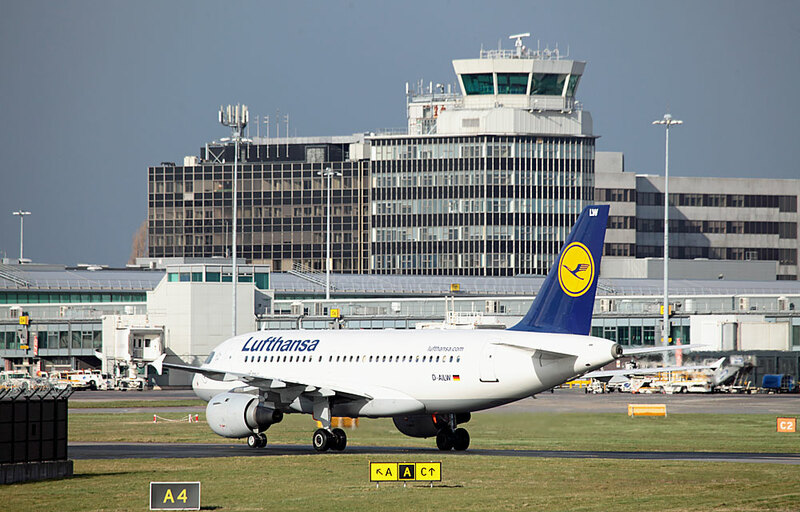 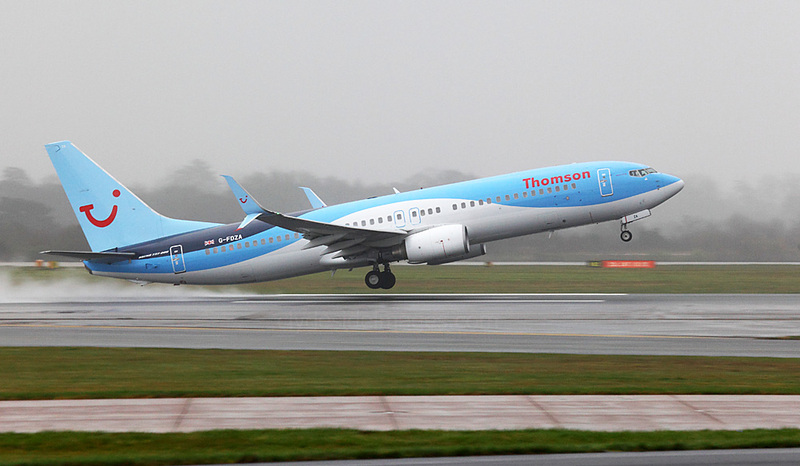 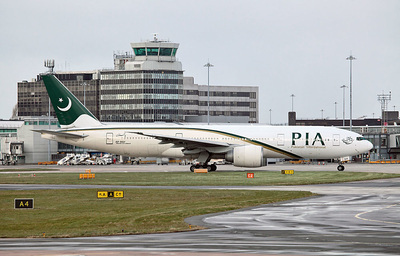 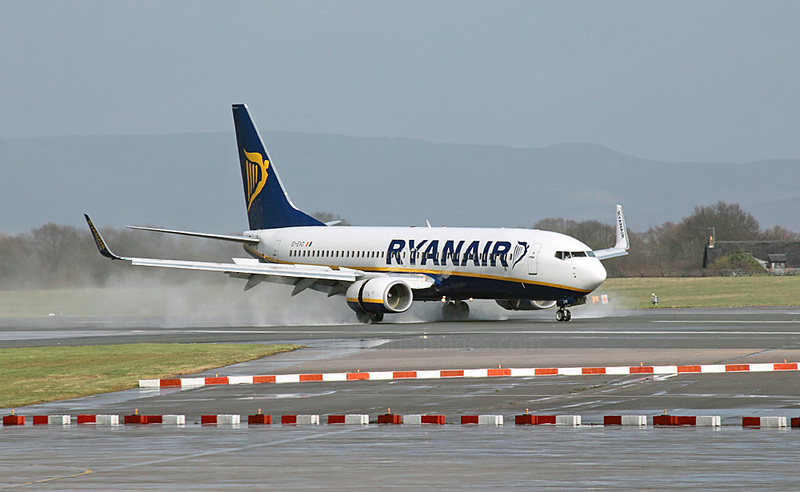 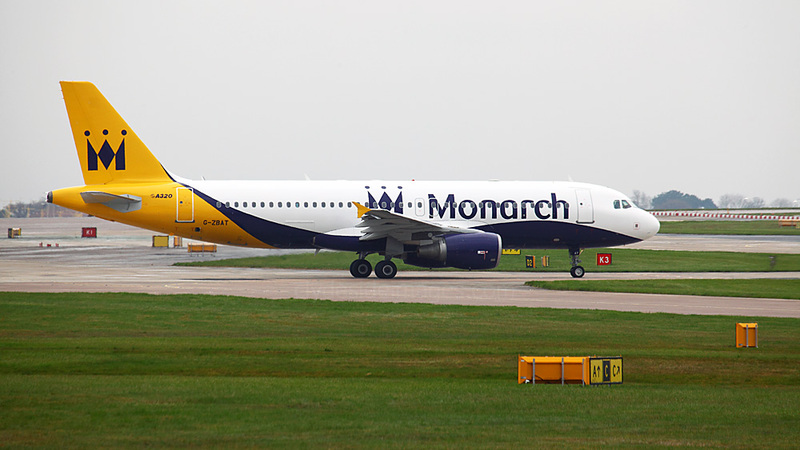 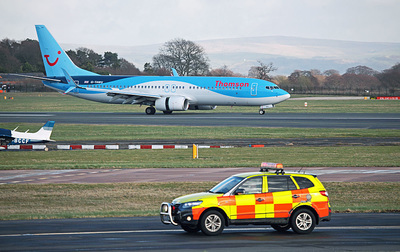 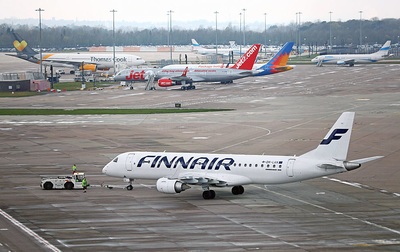 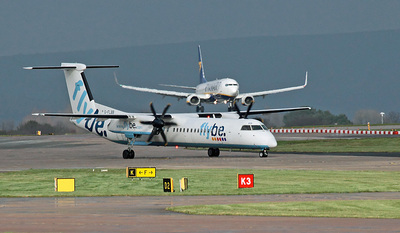 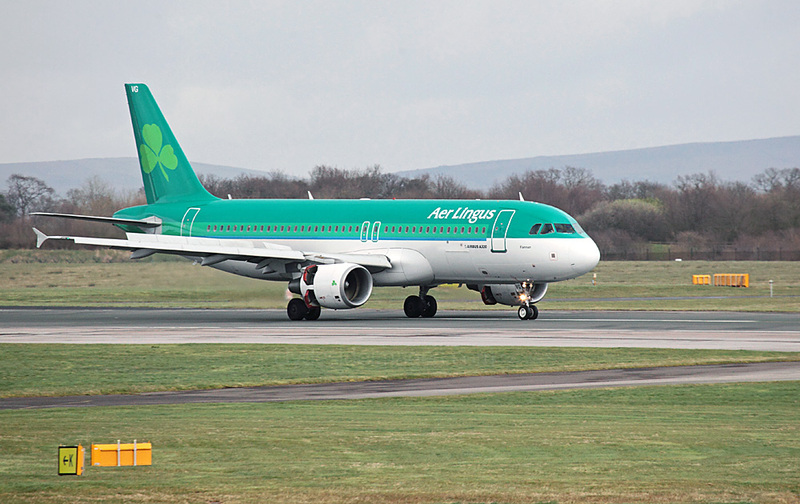 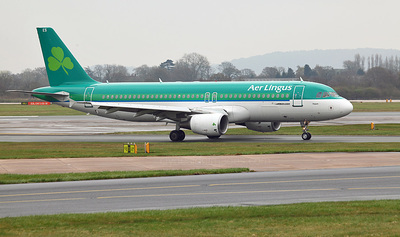 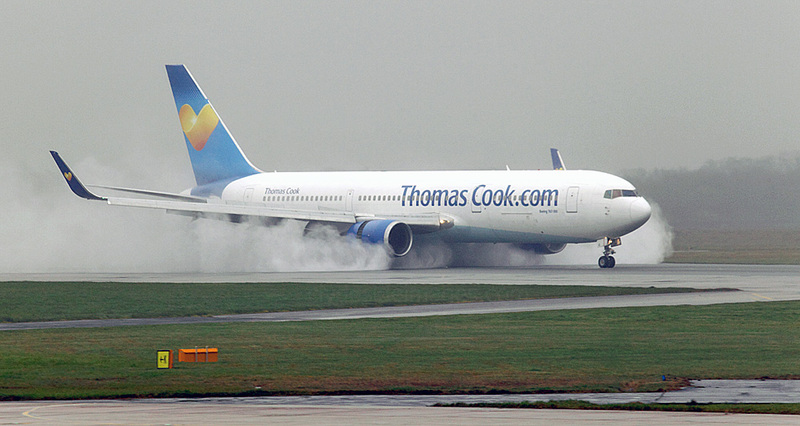 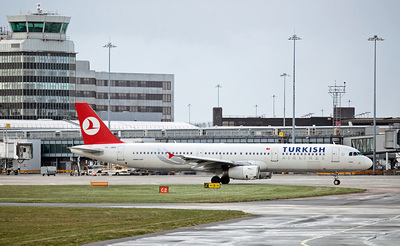 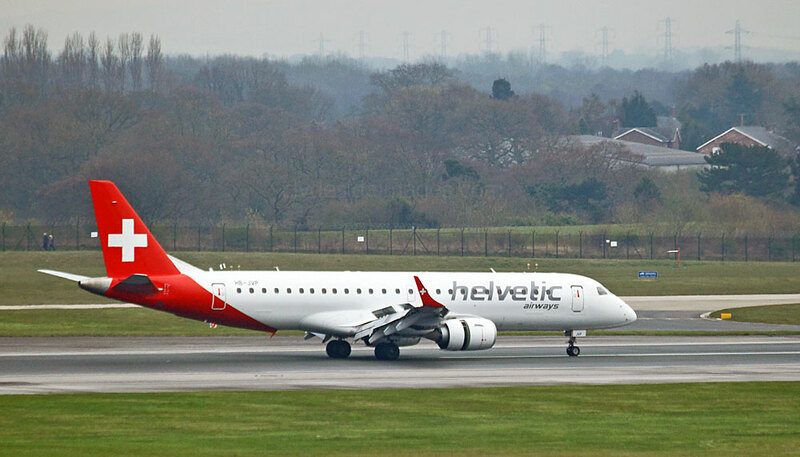 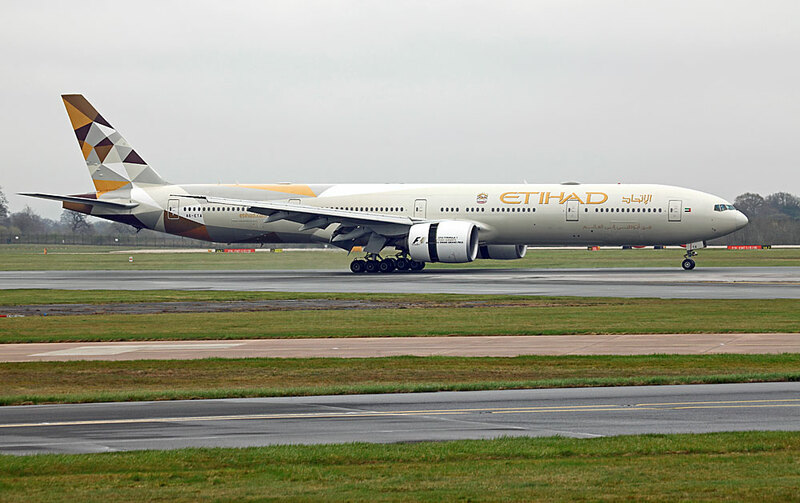 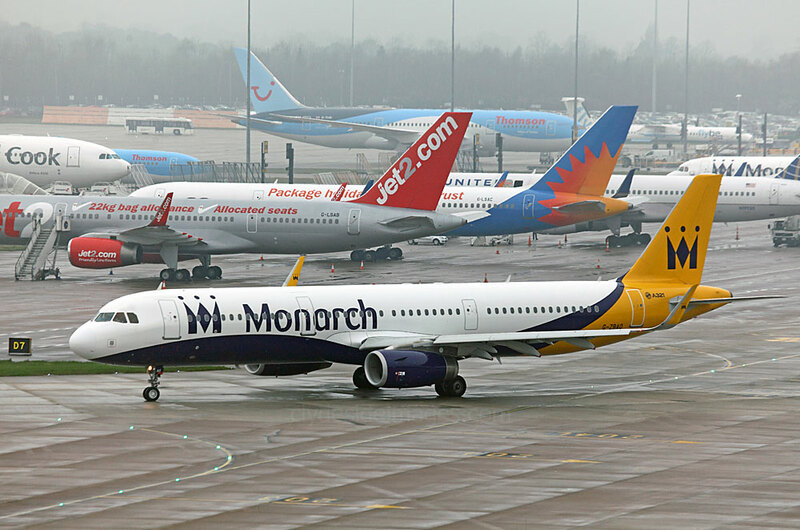 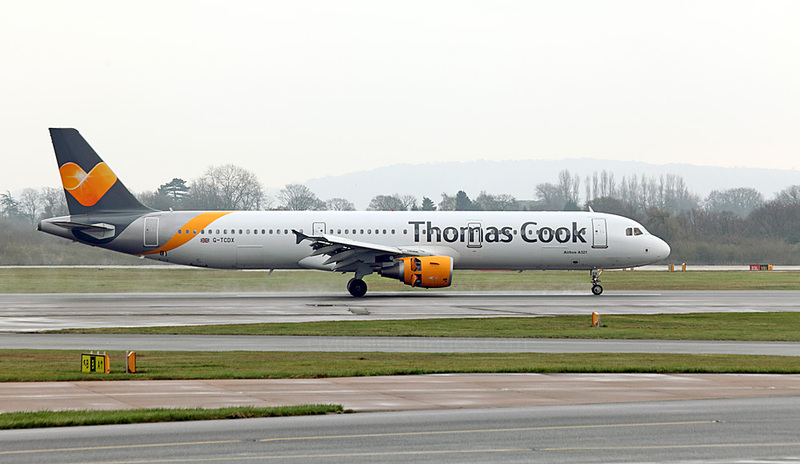 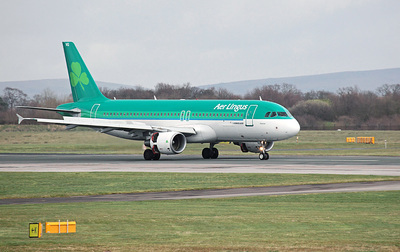 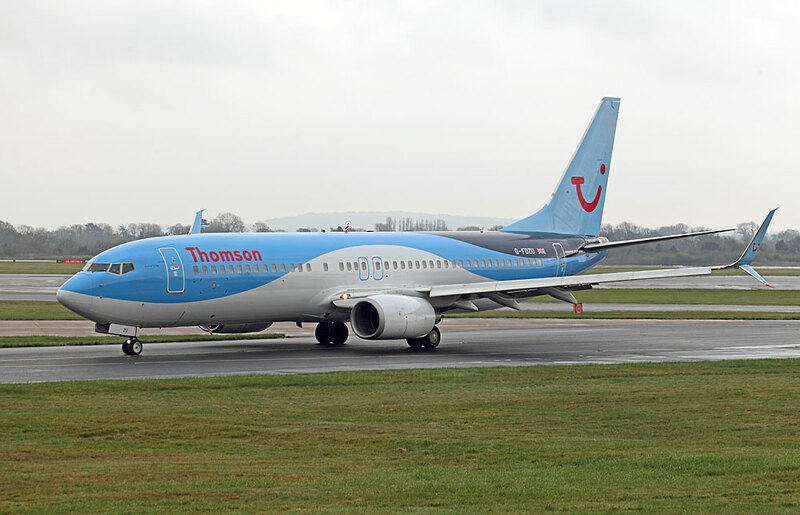 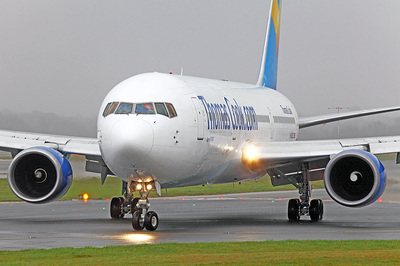 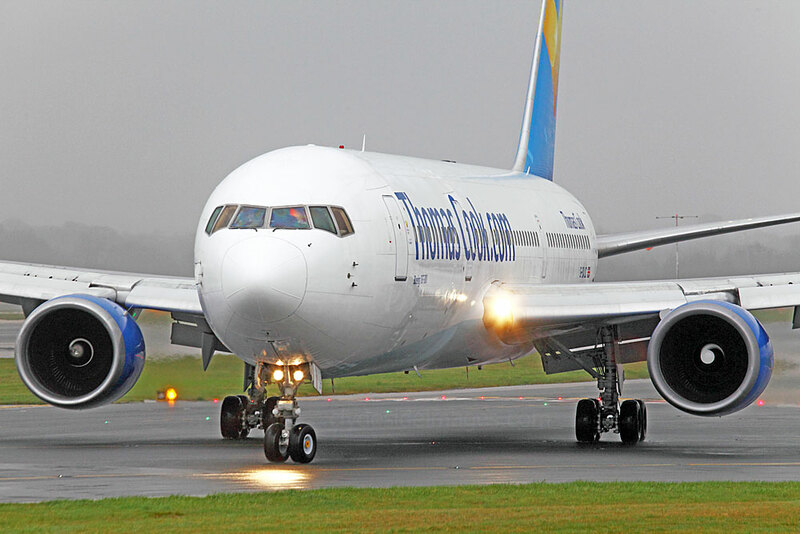 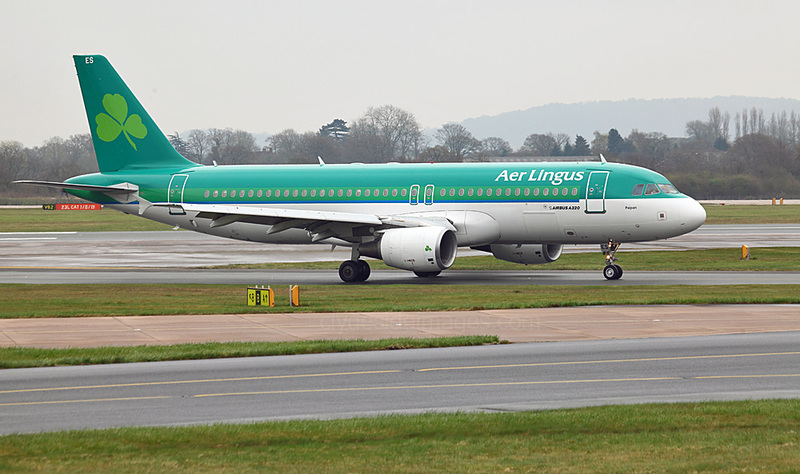 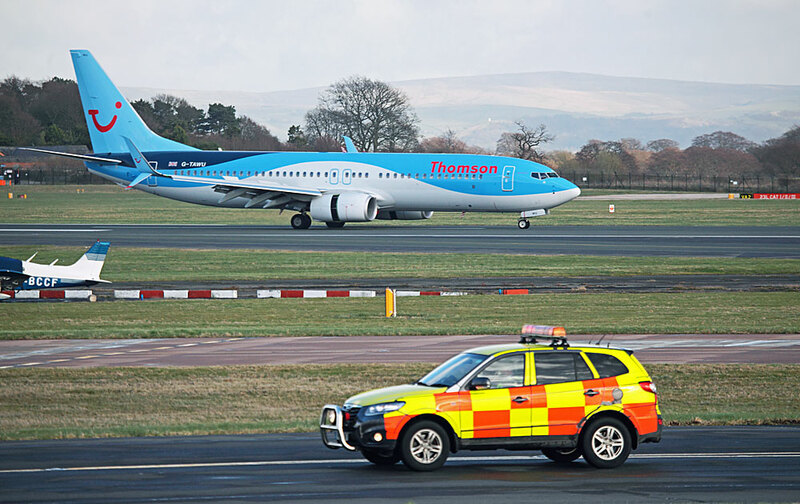 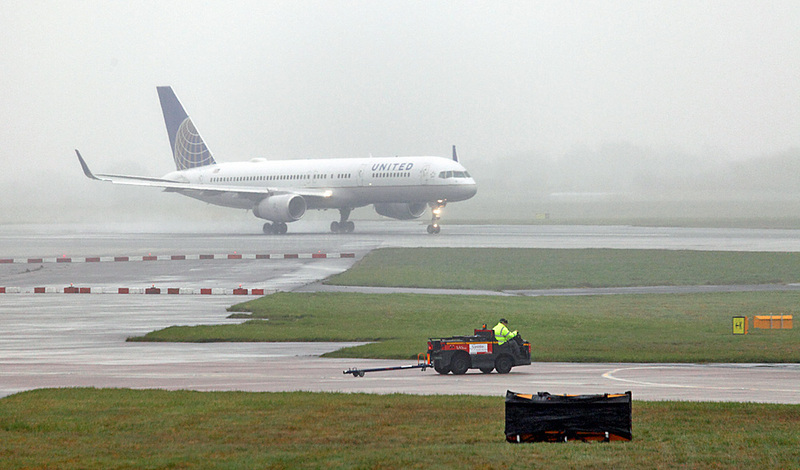 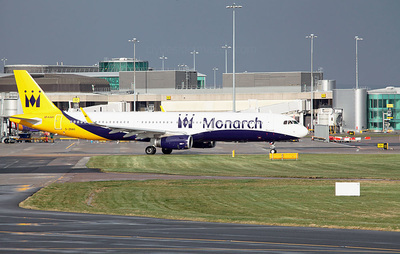 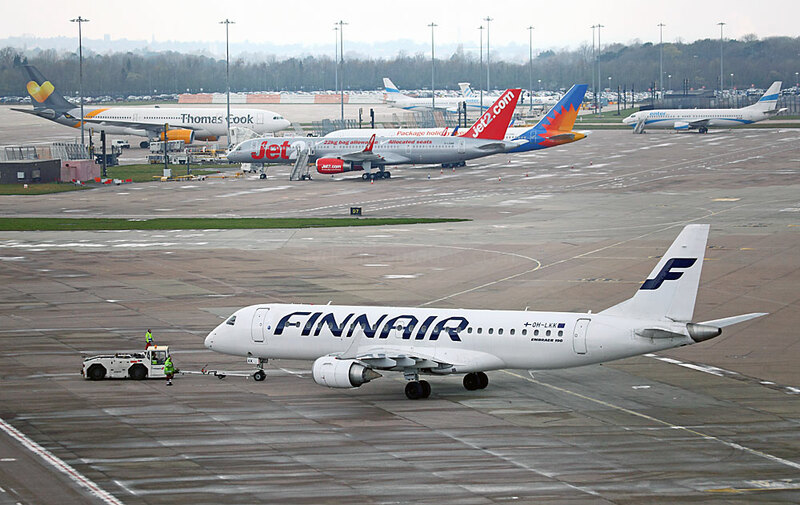 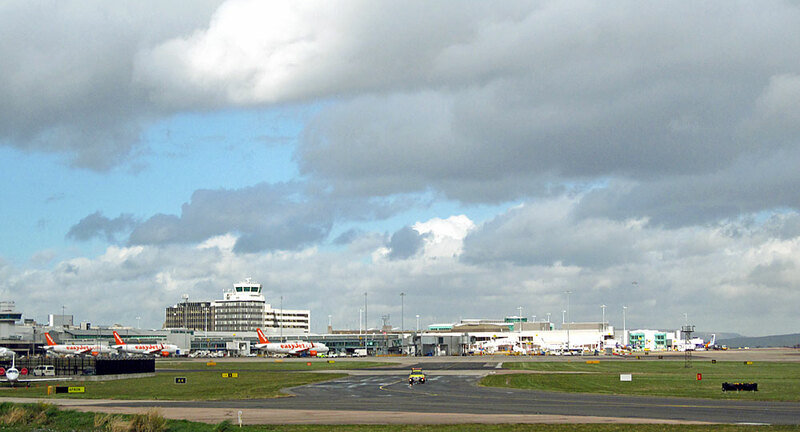 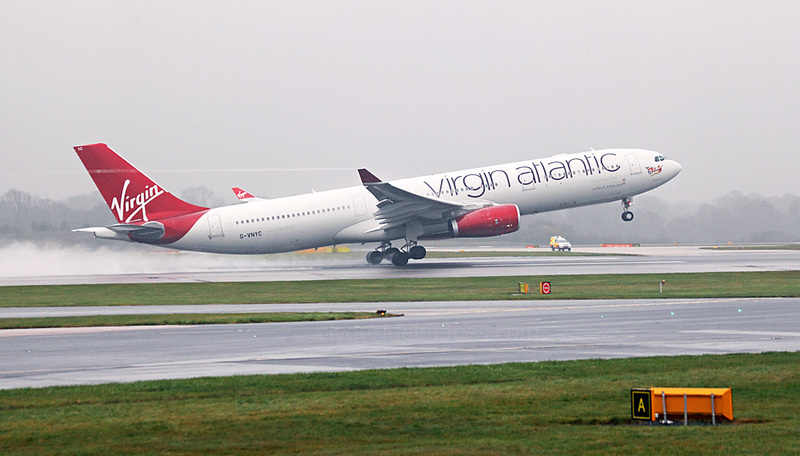 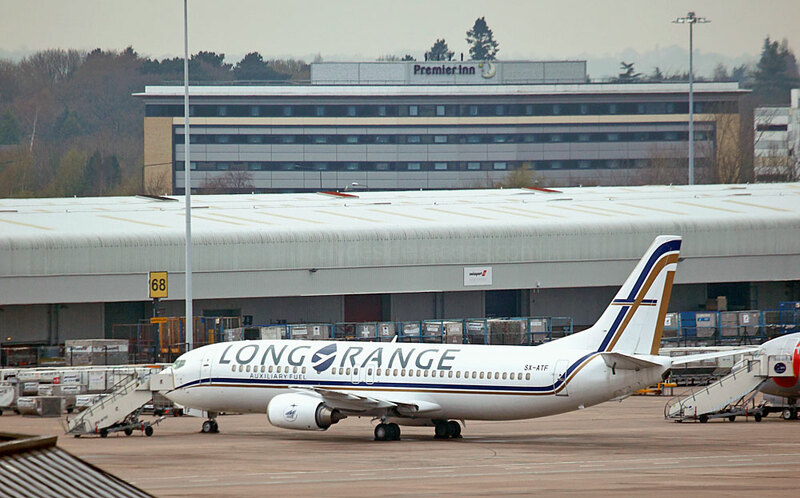 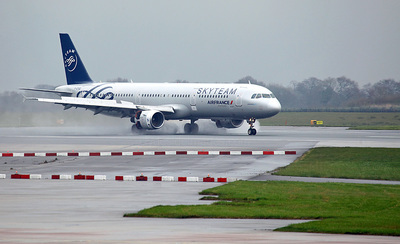 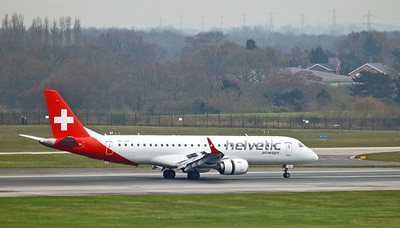 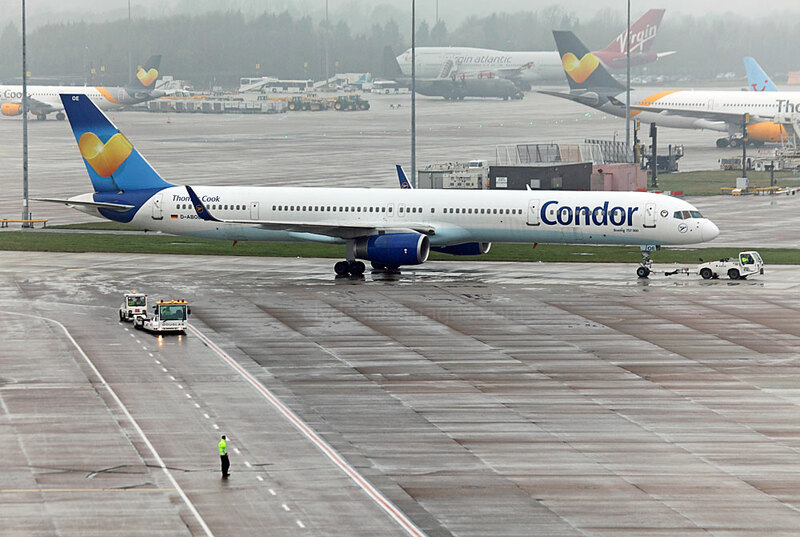 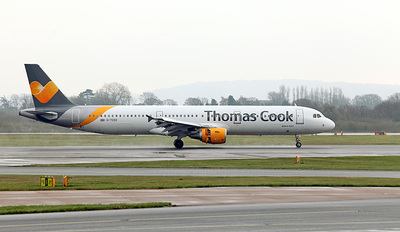 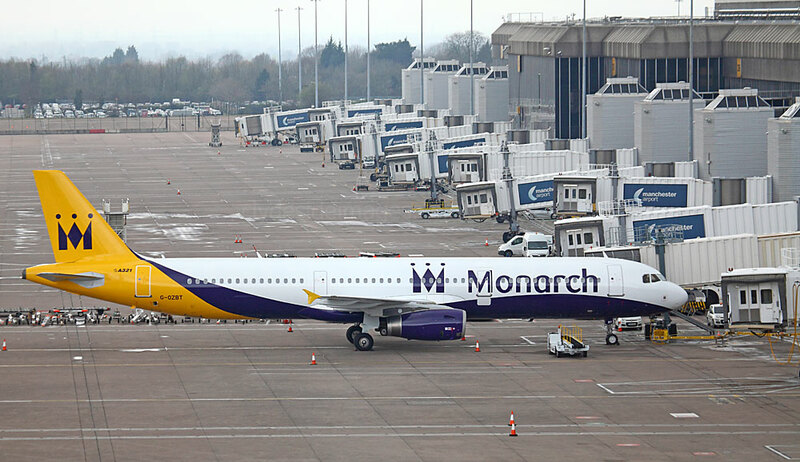 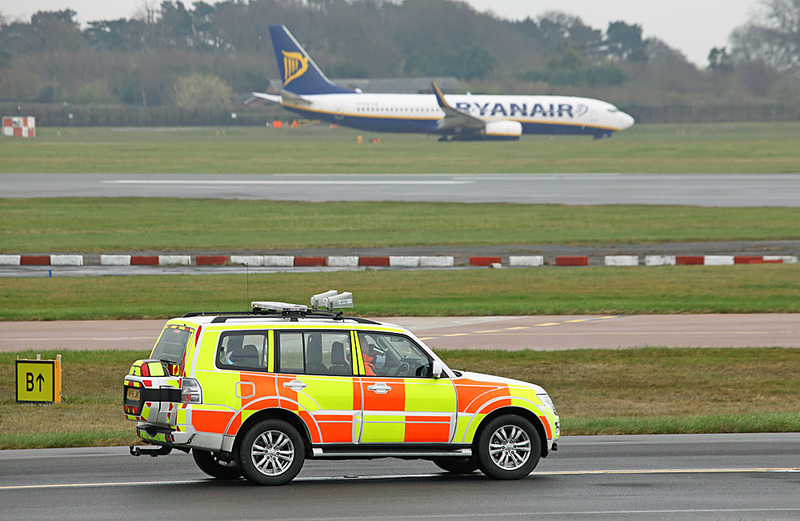 Manchester International Airport ranks second only to Heathrow in the UK for volume of aircraft handled and it`s the busiest British airport outside London. 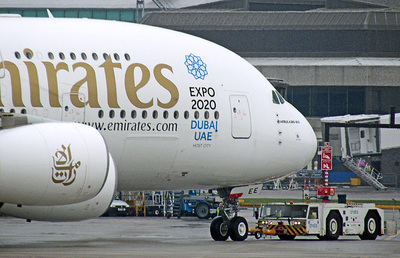 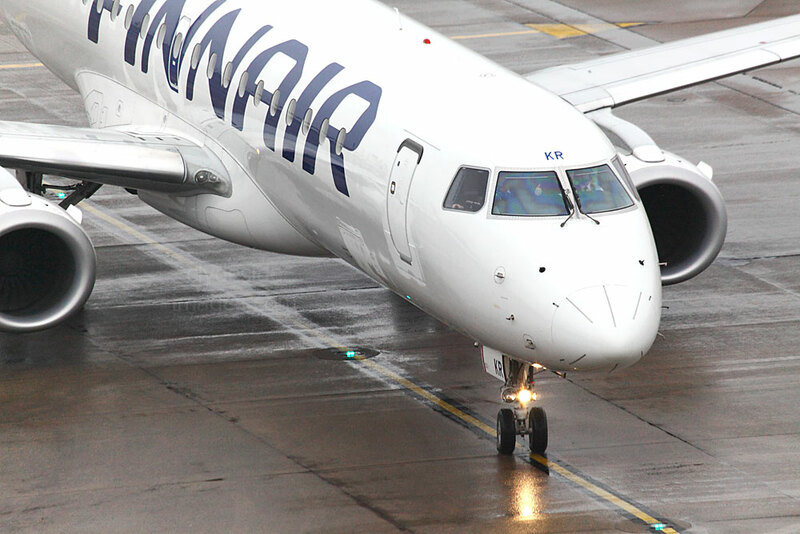 There are three passenger terminals and a cargo terminal, along with an extensive maintenance area. 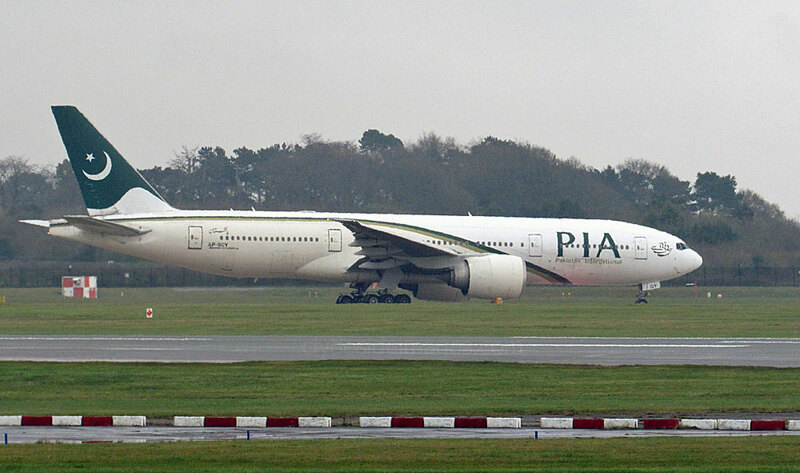 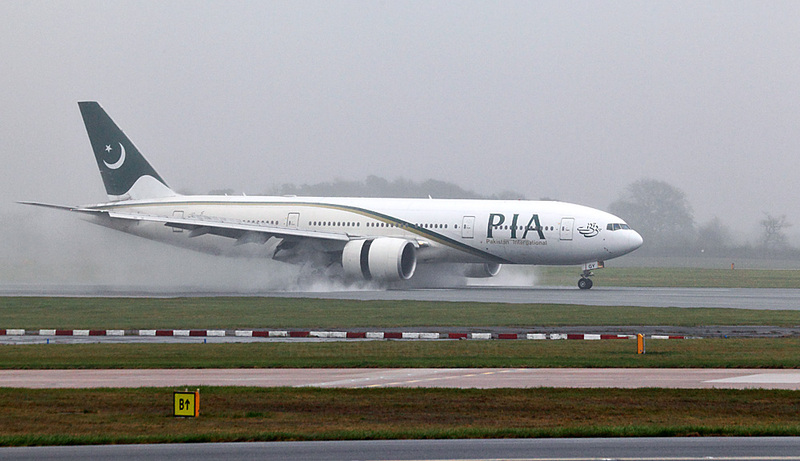 There are two full-length parallel runways but the southern one only operates on a part time basis, most often during the peak morning and evening periods when the vast amount of action occurs. 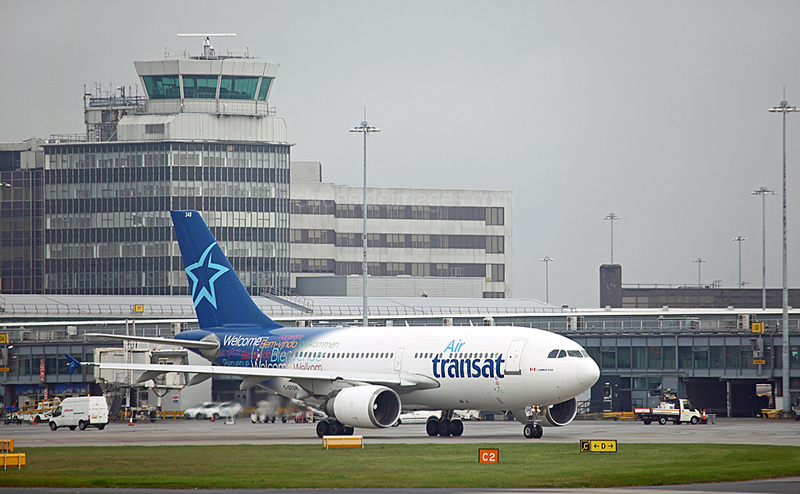 The bulk of transatlantic traffic arrives between 0700-0900hrs, most with a turnaround time of 2-3 hours. 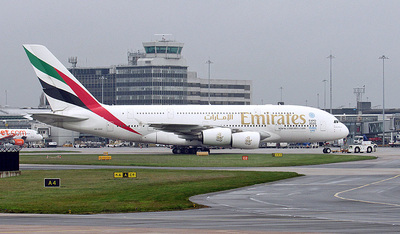 At lunchtime the first of two daily Emirates flights served by an Airbus A380 arrives from Dubai and departs again mid-afternoon. 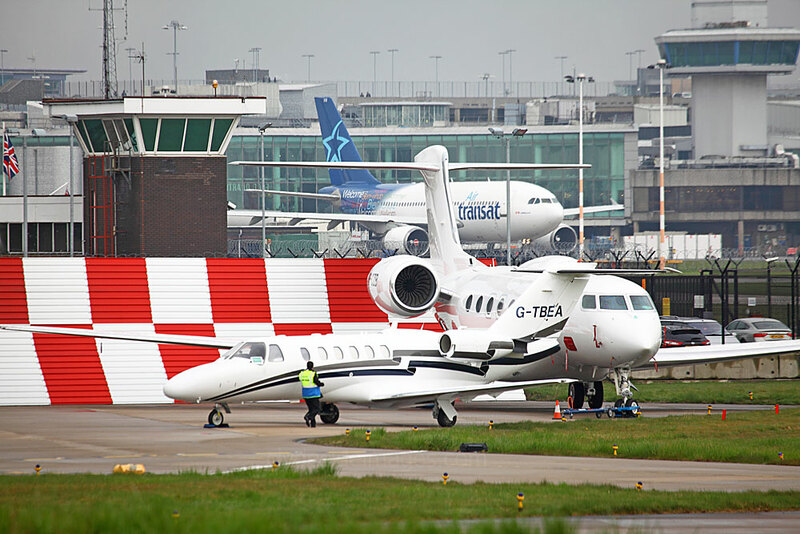 A varied mix of charter and budget airlines from around Europe appear throughout the day and there`s always a chance of a biz-jet or three! 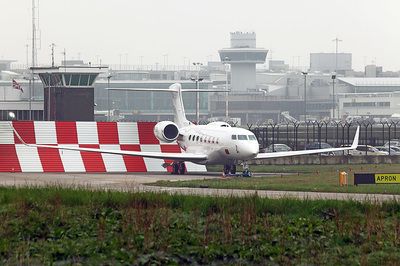 In addition to the executive park the adjacent Air Livery Ltd hangar attracts a good a variety of aircraft including the occasion military machine for repainting. 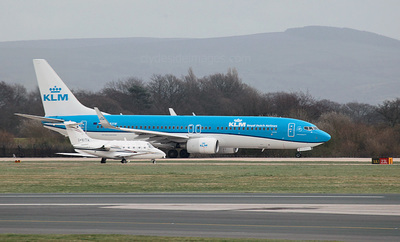 Cargo aircraft are also regular at Manchester with near-daily appearances from Cathay Pacific Cargo and a few-times weekly Lufthansa Cargo MD-11F. 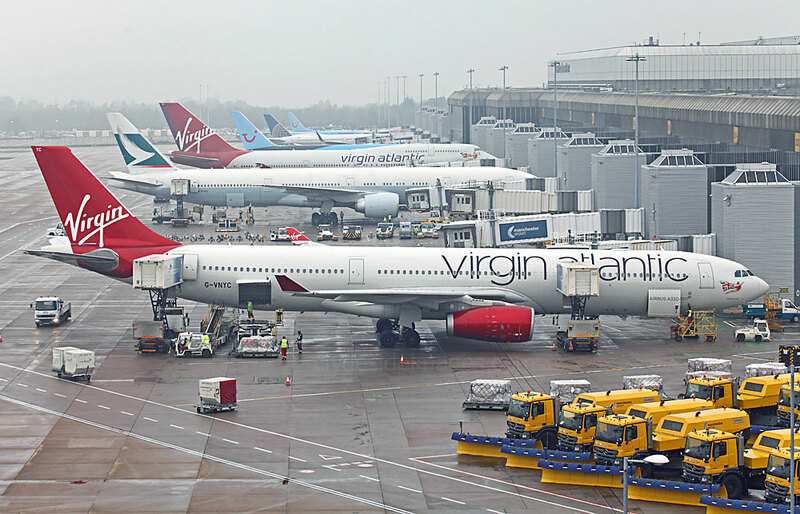 Overnight the airport is usually quiet. 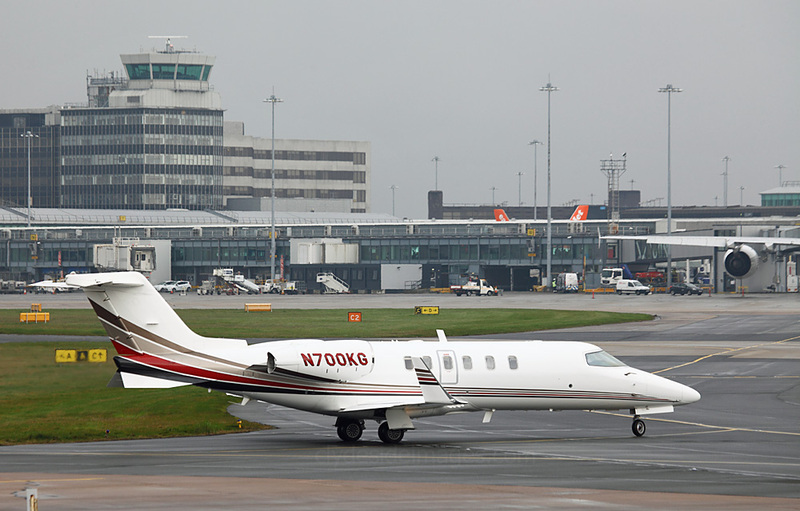 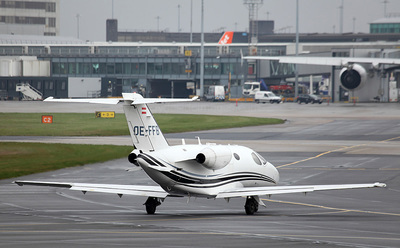 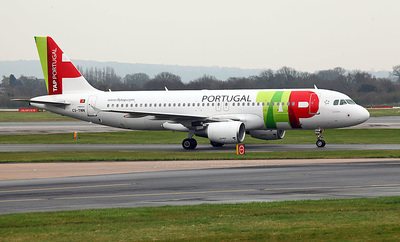 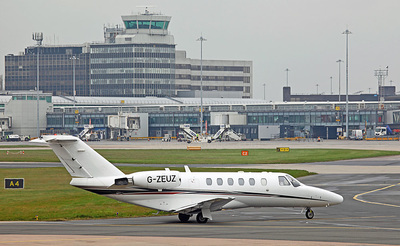 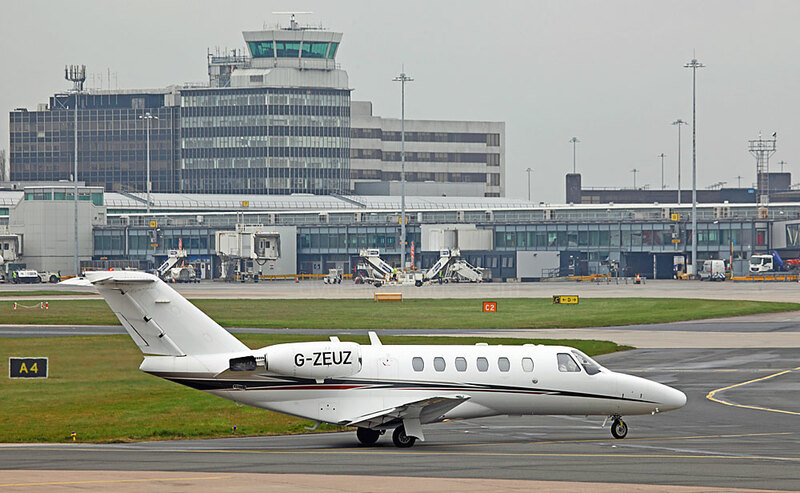 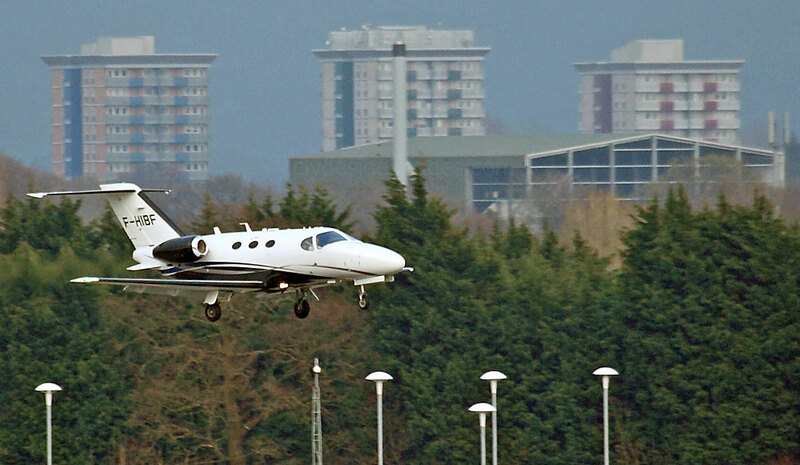 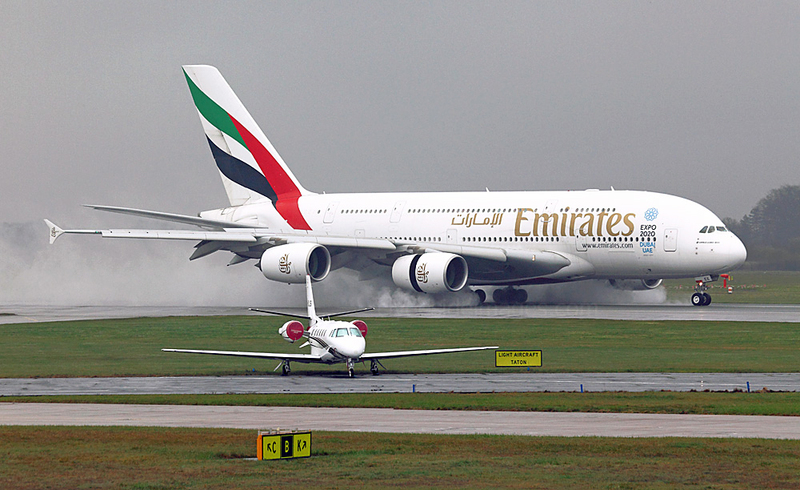 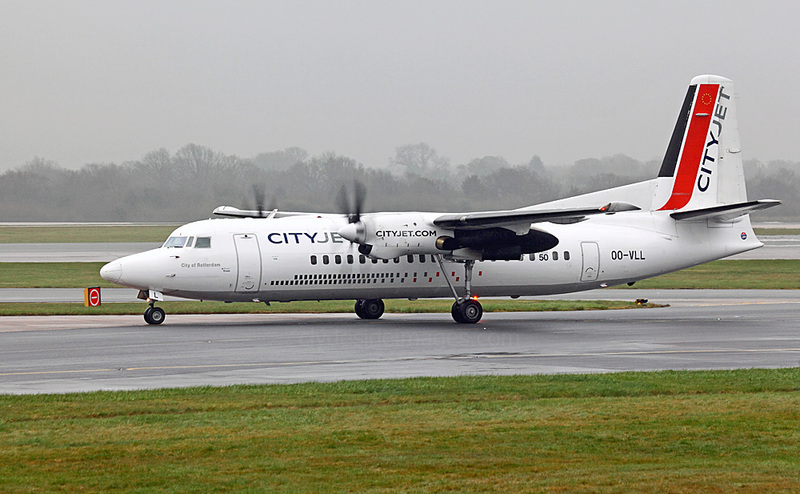 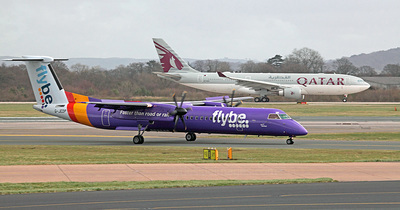 Manchester`s Runway Visitor Park offers the best official viewing facility at any UK international airport. 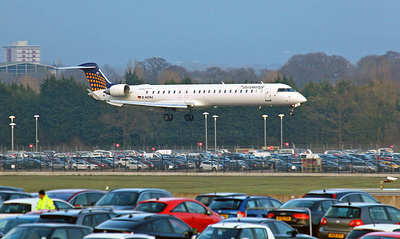 Entry is free although car drivers have to pay for parking up to a maximum of £12 per day. 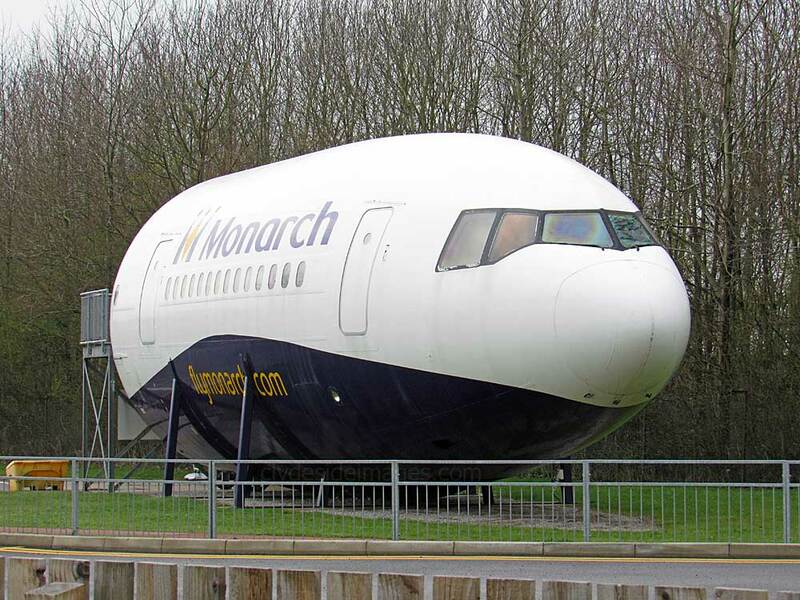 The No.200 bus from the airport`s main bus station runs every hour from 0916hrs until 1716 with the bus back from the Viewing Park leaving at 25 past the hour. 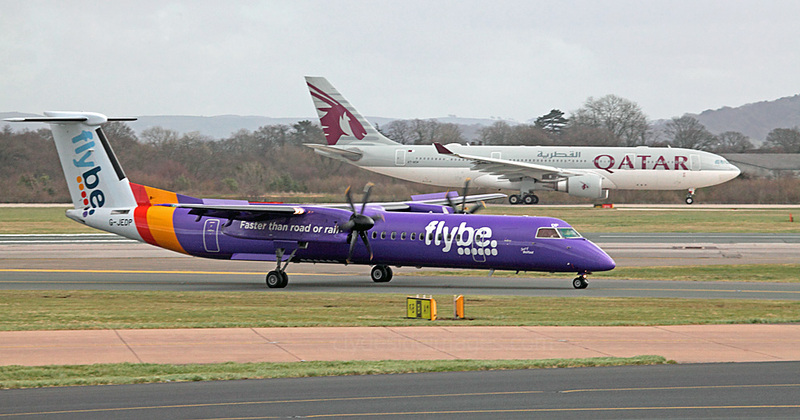 It`s worth being in the queue early though, especially for the last bus, as the driver I had didn`t hang around until the actual departure time before setting off. 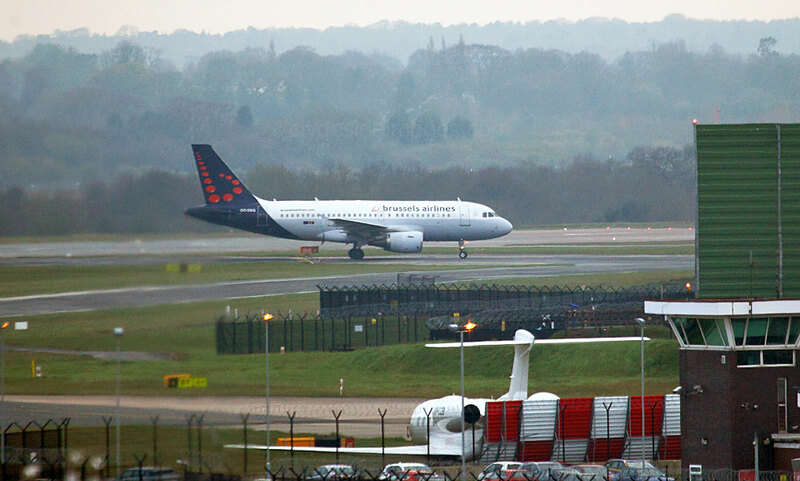 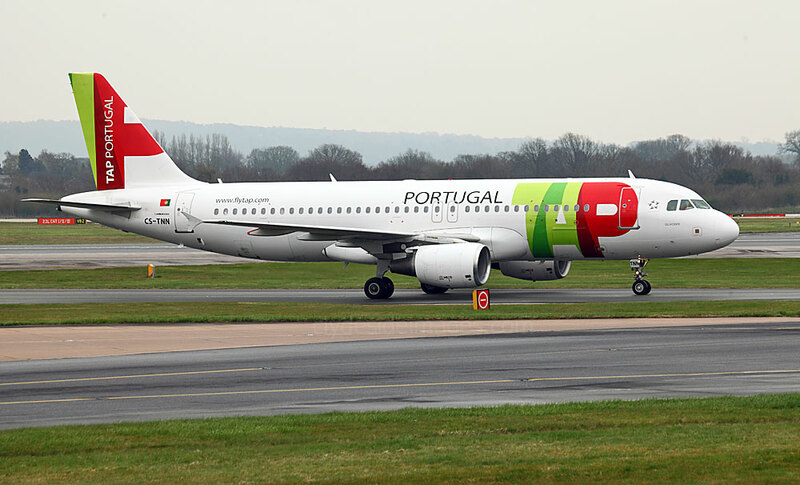 At the RVP, three raised areas, in close proximity to the main taxiways used by aircraft vacating Runway 23R after landing and by traffic taxiing to Runway 05 for departure, mean that you won`t miss much! 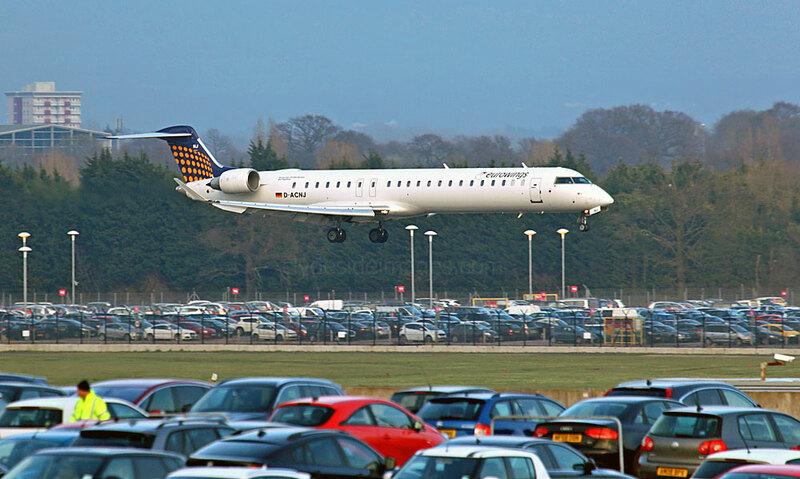 The only drawback (apart from the crowds at peak times) is that on bright days shots must be taken directly into the sun until early afternoon, therefore in such conditions anyone with transport should consider heading to one of the south side locations first. 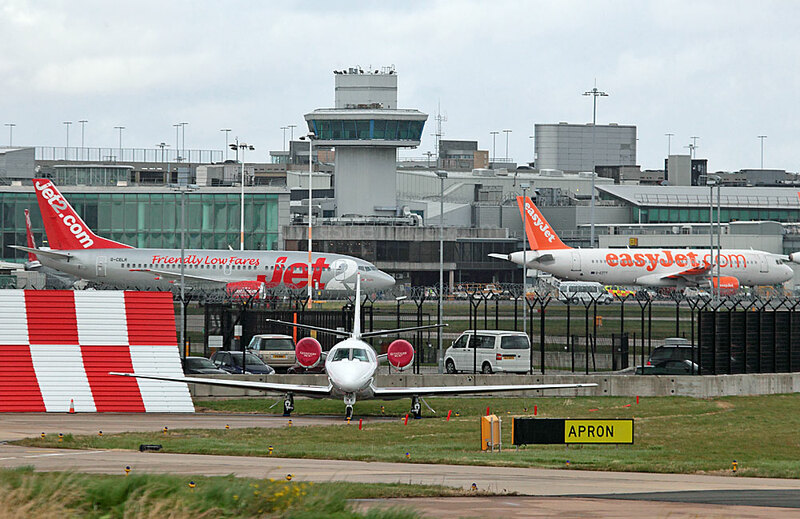 Only two of the three mounds at the RVP are high enough for shots over the fence but using a very wide aperture ground level shots through the mesh are also possible. 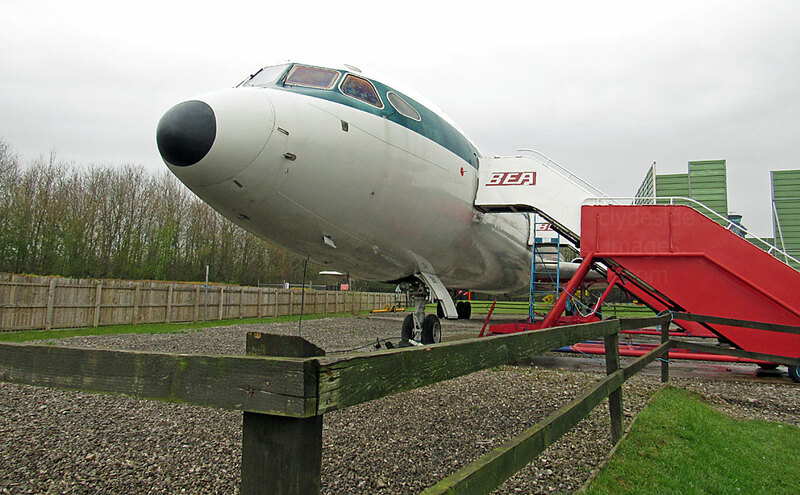 In addition to a restaurant, aviation shop and toilets there are several aircraft displayed within the RVP including Concorde G-BOAC which is kept in a dedicated £1.1 million glass-fronted hangar. Various tours of the static aircraft, including Concorde, can be pre-booked for a fee. 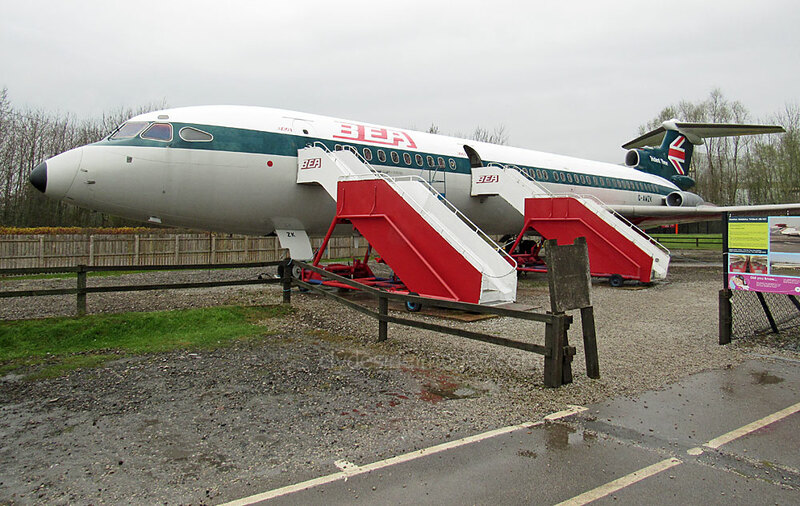 ​As well as Concorde, another aircraft on static display is this fully restored ex-BEA Hawker Siddeley Trident 3 G-AWZK. 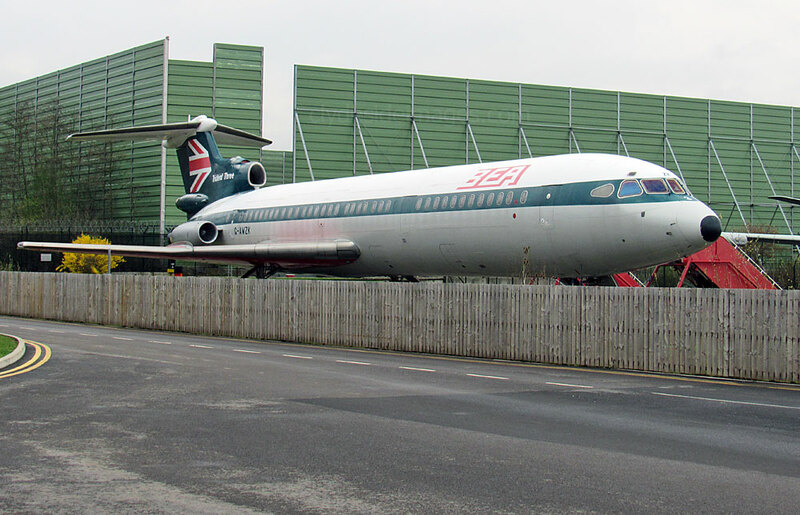 The Trident first flew in 1962 and a total of 117 were produced. 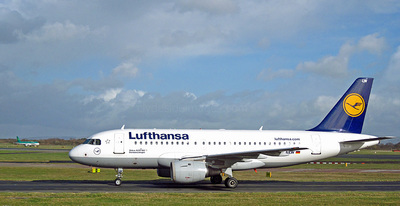 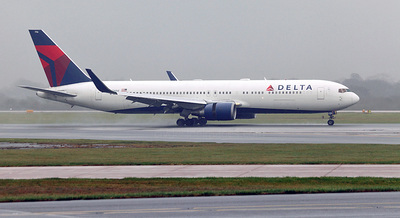 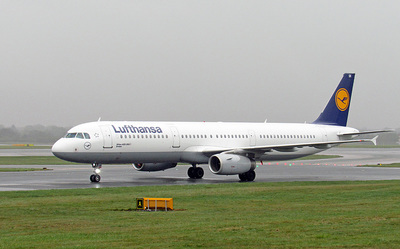 The medium-range airliner was the first aircraft to make a fully automated approach and landing. 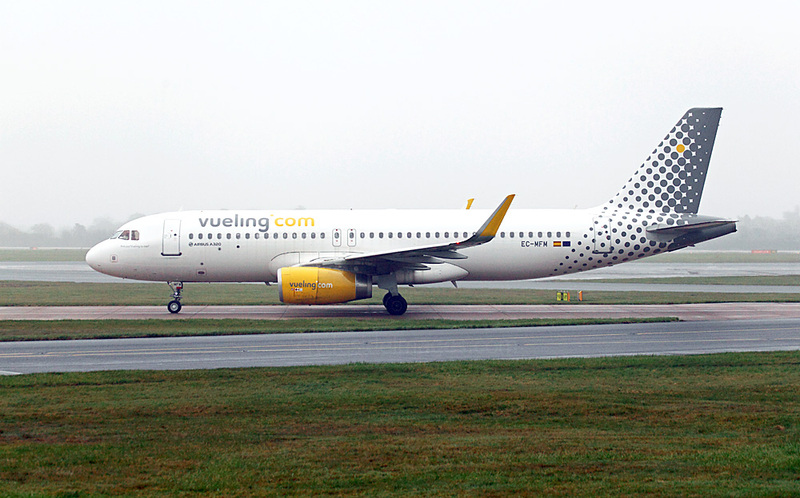 The forward section of Monarch Airlines DC-10 G-DMCA has been converted to serve as an education and conference centre, seating up to 36 people. 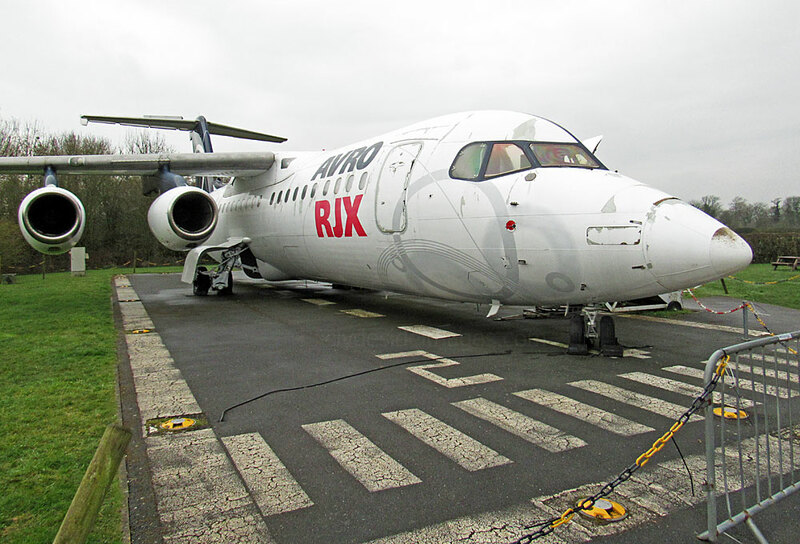 HS-146 RJX 100 G-IRJX is also kept on-site behind the Concorde hangar and, in addition to being an exhibit, acts as an instructional airframe for students from Salford University`s Department of Aeronautical Engineering. 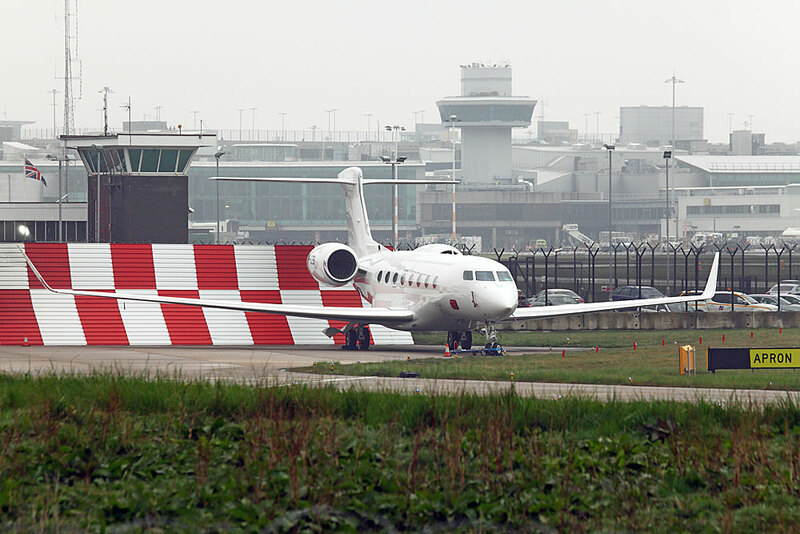 Nimrod MR.2 XV231 made its final journey in April 2010 when it landed at Manchester to take up residence at the RVP. 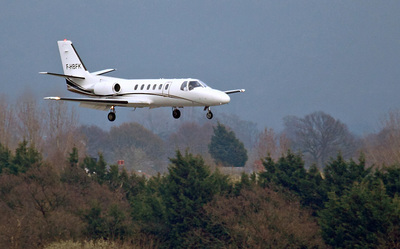 During its RAF career it saw service in the Falklands, Afghanistan and Iraq. 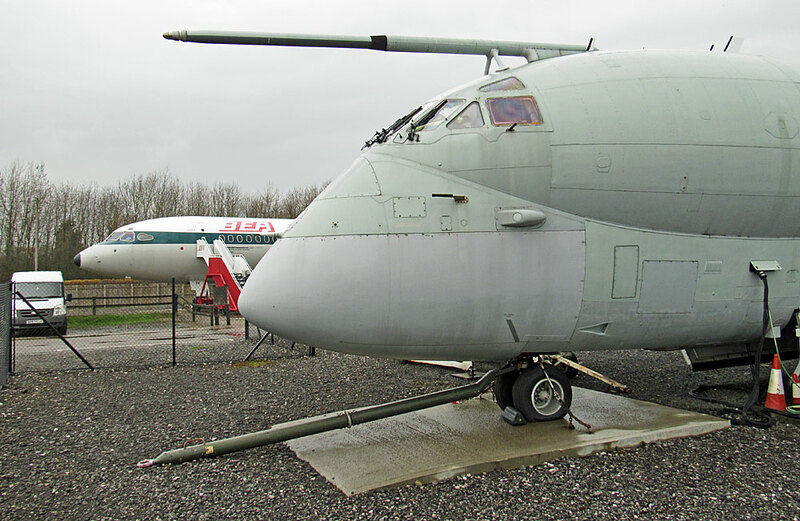 Active in war zones from the 1970’s until 2010, Nimrod was a specialist search and rescue maritime patrol aircraft. 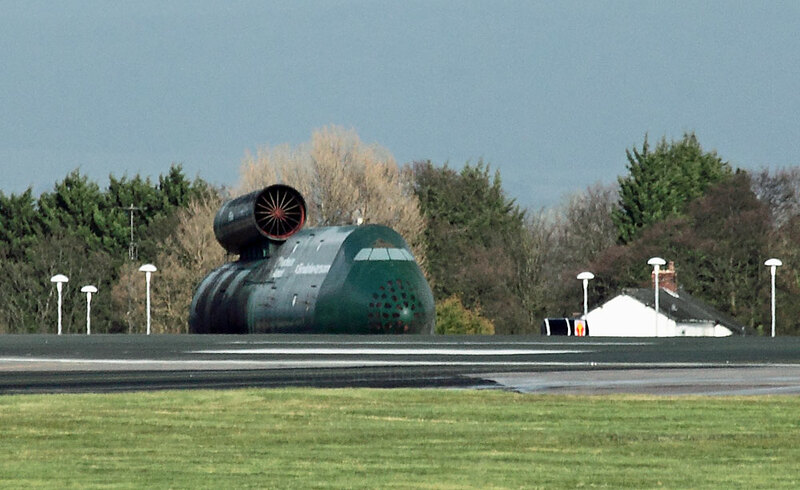 Way over on the far side of the airfield, Manchester Airport`s purpose-built fire training rig looks very much like a huge C-5A Galaxy nose section. The other shot shows the view of the terminal complex and control tower from the Runway Visitor Park. I stopped in at the Viewing Park for the first time and even though the airport wasn't particularly busy I managed a few shots during a two-hour period in the afternoon. 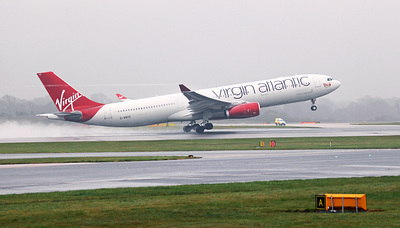 It was cold and blustery with several fierce hail showers when the sun disappeared behind the clouds. Otherwise visibility was good and I had the mounds to myself for most of the time, the few visitors present opting to stay in their cars. 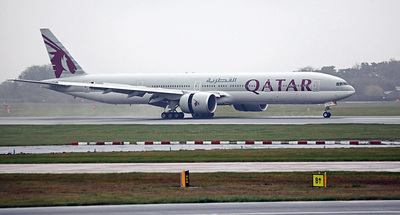 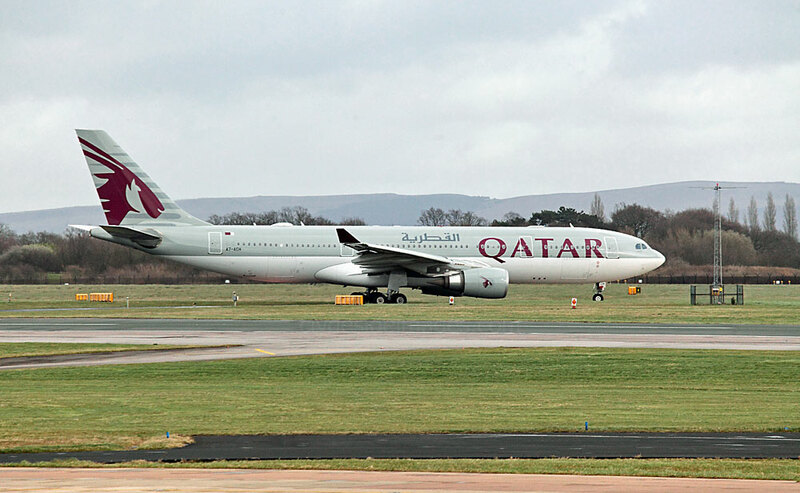 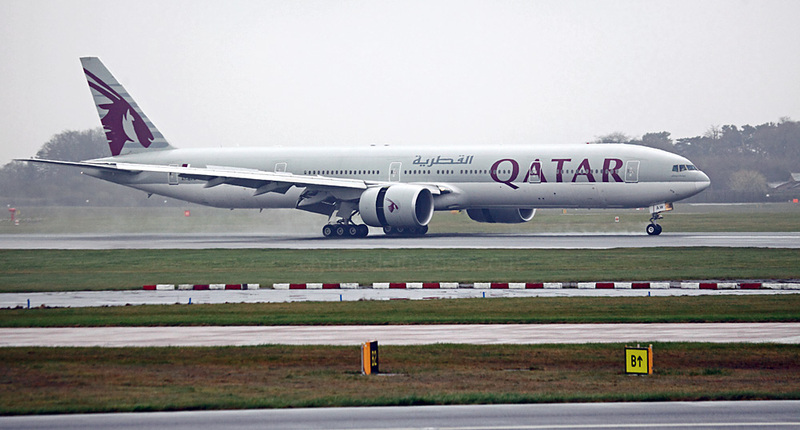 Even though the only real `heavy` I saw was an Emirates A380 which had lifted off as I drove towards the airport, I managed to snap Boeing 777-240(LR) AP-BGY of Pakistan International Airlines (PIA) and this Airbus A330-200 A7-ACH of Qatar Airways. 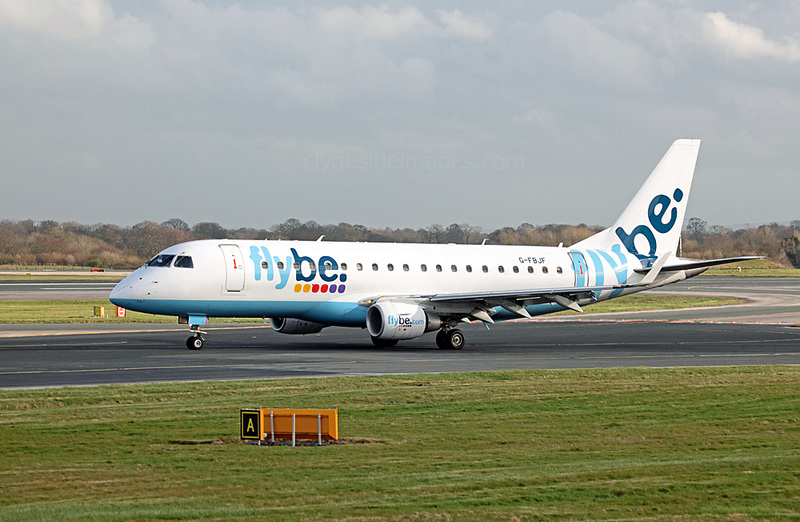 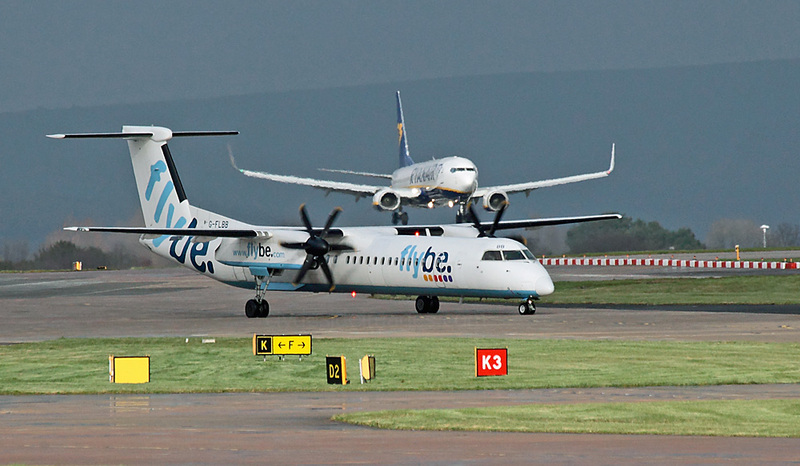 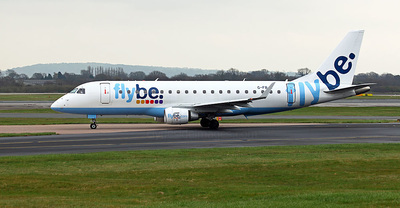 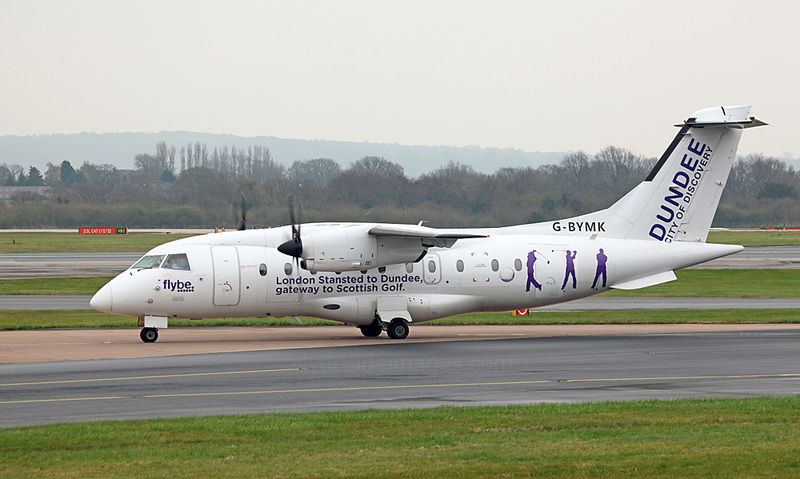 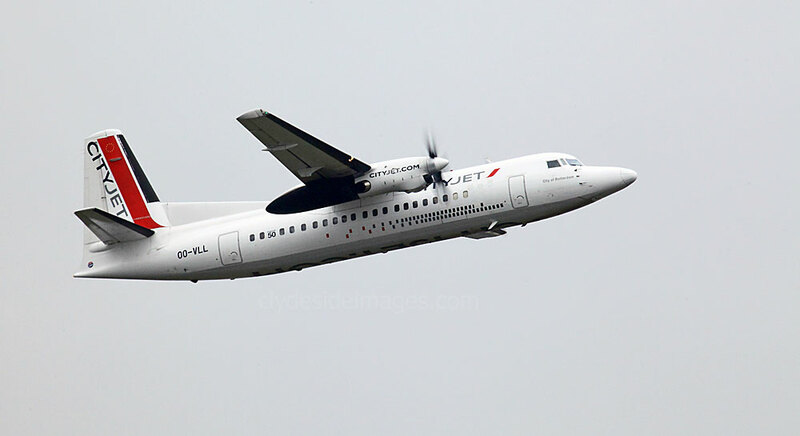 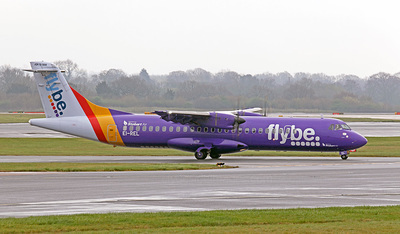 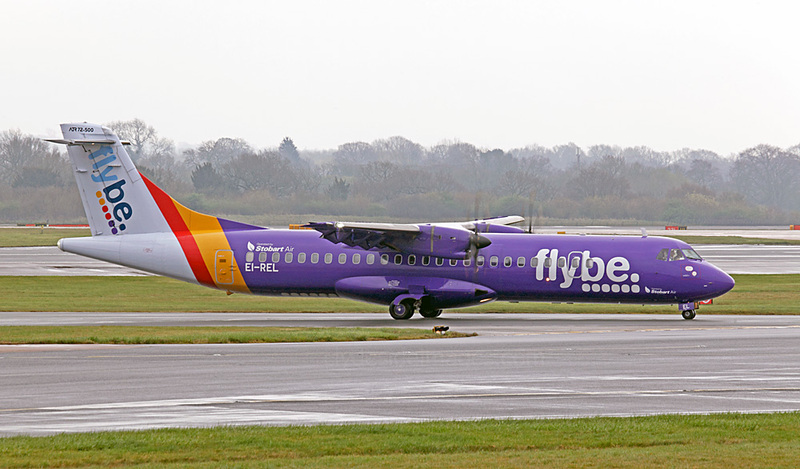 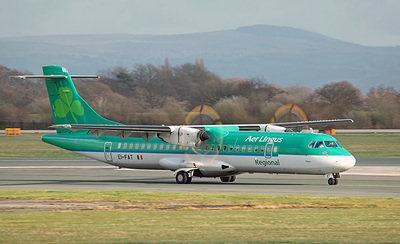 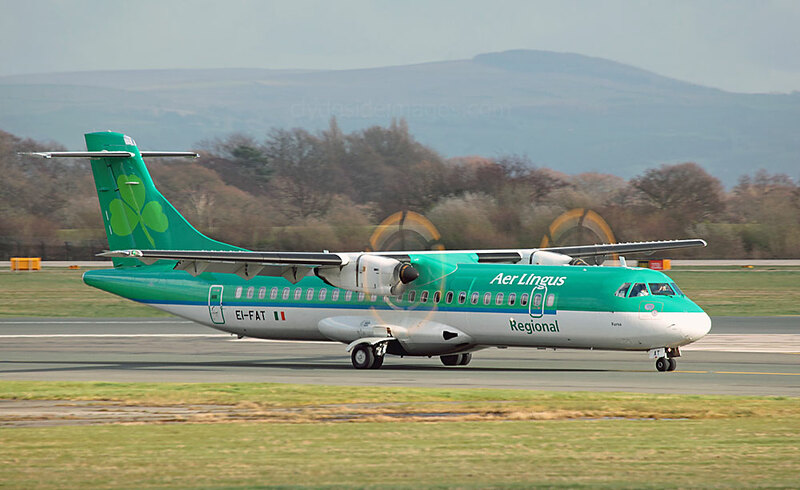 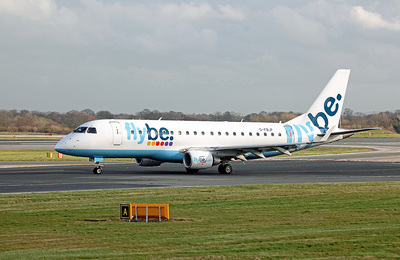 It was interesting to watch smaller planes such as the Dash 8s of Flybe blown side-on in the gusts as they appeared on short finals, straightening up just moments before touchdown. 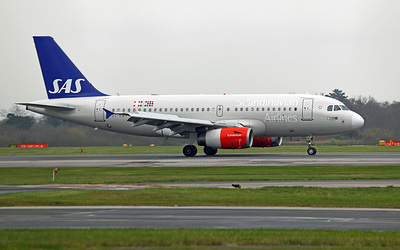 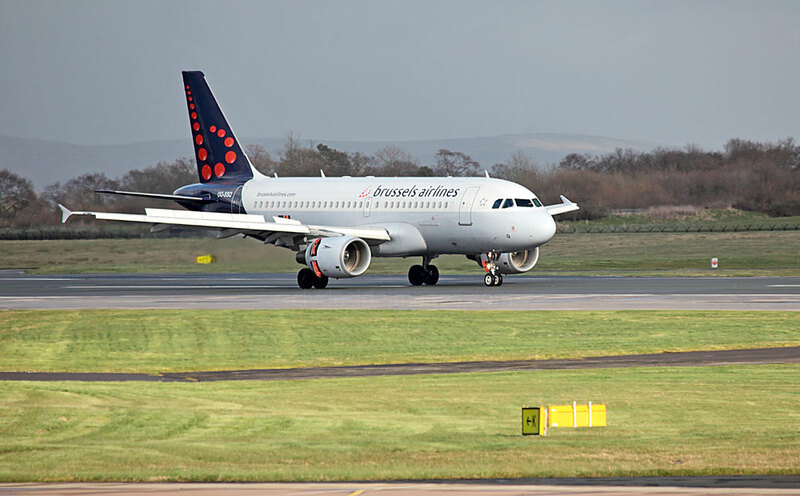 Even a couple of the mid-size jets such as this Brussels Airlines Airbus appeared to be skewing about a bit. On Tuesday 12 April 2016, I visited the airport for the second time. Unfortunately, the weather wasn`t great, particularly in the morning when the murky conditions made distant planes difficult to see let alone photograph. 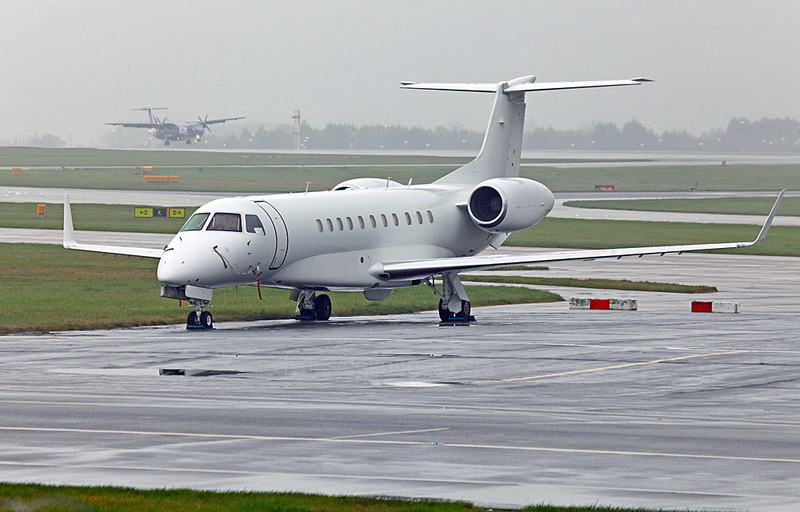 Things gradually improved as the day went on but with the sky remaining overcast it meant that the Runway Visitor Park was the place to be. 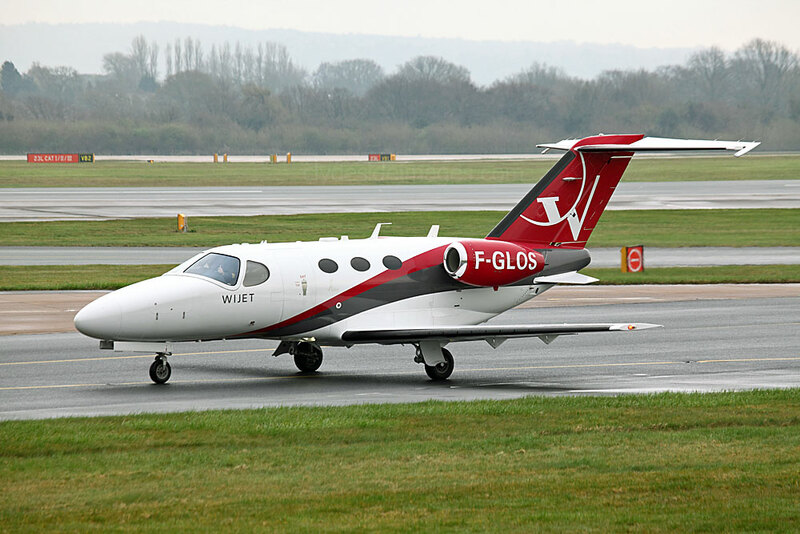 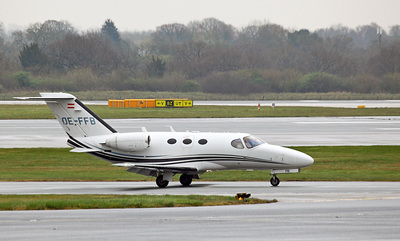 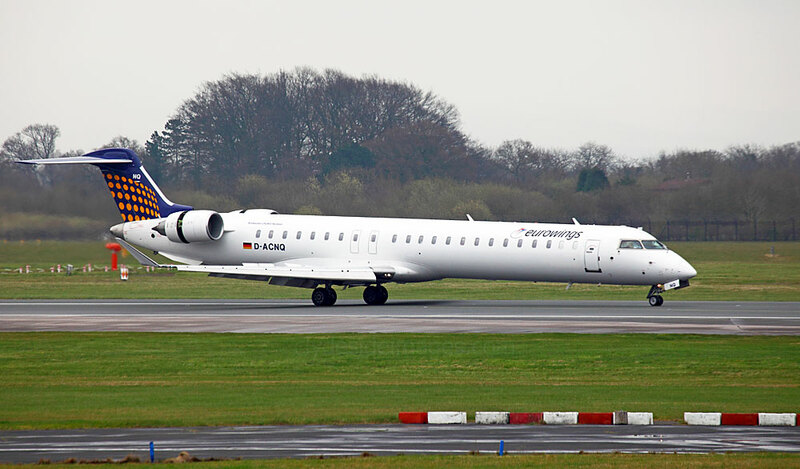 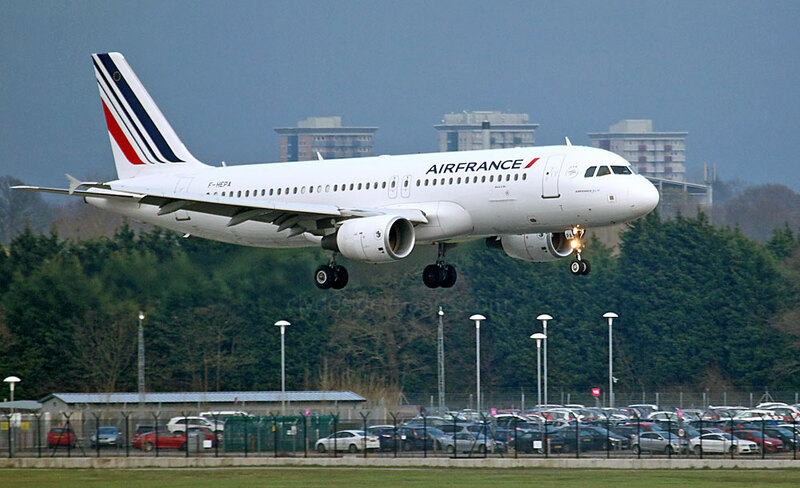 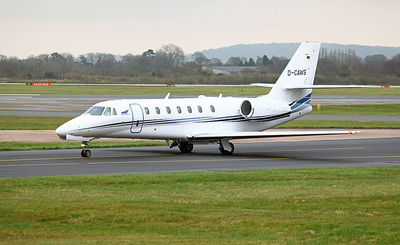 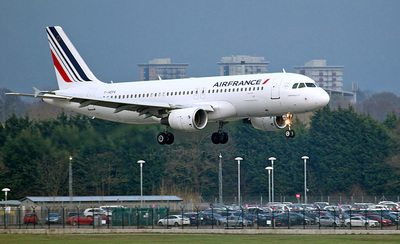 An added bonus was that my visit inadvertently coincided with Man City playing Paris St Germain in the Champions League quarter final which meant a couple of Enter Air charters plus a crop of French biz-jets arriving throughout the day. It turned out to be a wasted journey for the French fans though - the Sky Blues went on to win 1-0, taking them into the semi-finals of the competition for the first time in the club`s history. The open air rooftop of the Terminal One multi-storey car park offers decent views of the action although the only planes worth photographing when I first checked out the location were those on the Western Apron directly below. 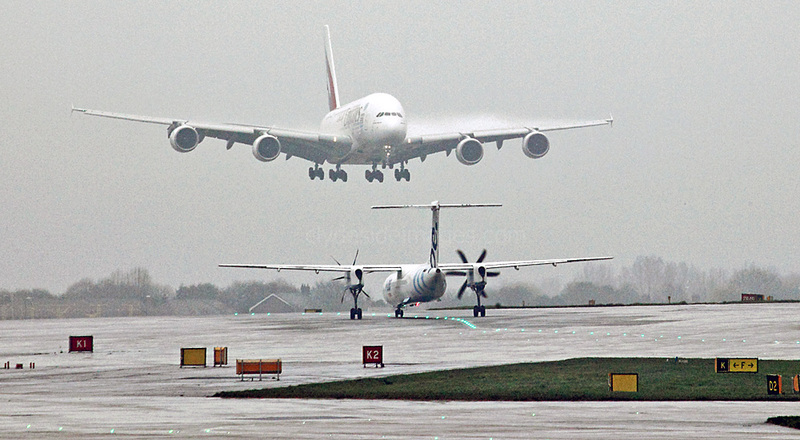 It was a waste of time trying to snap anything landing on or taking-off from the greyed-out distant runways. 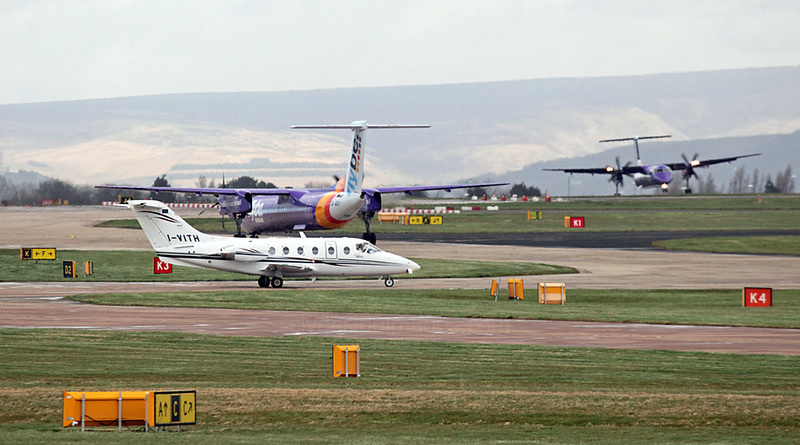 The stands on the Western Apron are often particularly busy in the morning with a good variety of `heavies`. 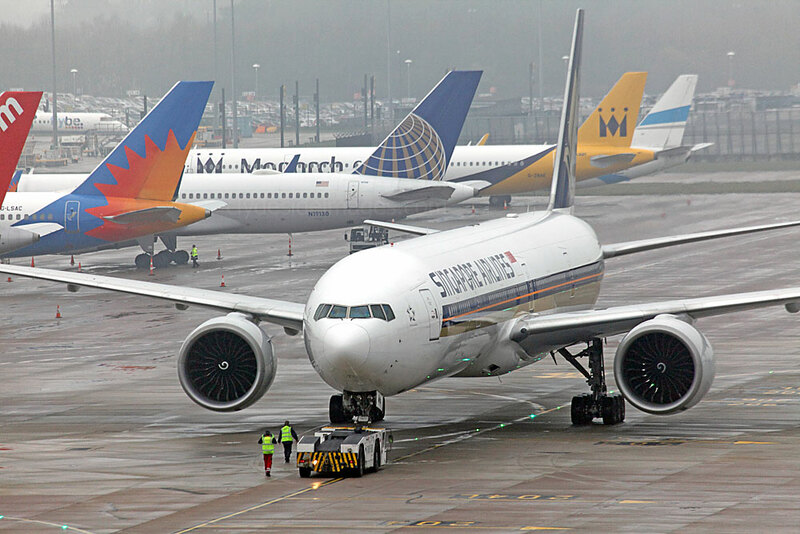 Clockwise from top left: Finnair Embraer ERJ-190LR OH-LKR, Singapore Arlines Boeing 777-312(ER) 9V-SWN, Monarch Airlines Airbus A321-231(WL) G-ZBAO and Condor Boeing 757-330(WL) D-ABOE. 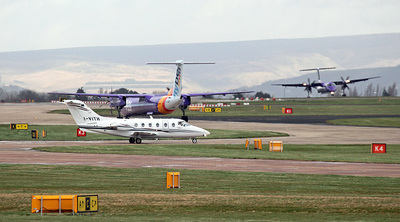 (Note the RAF Herc in the background). 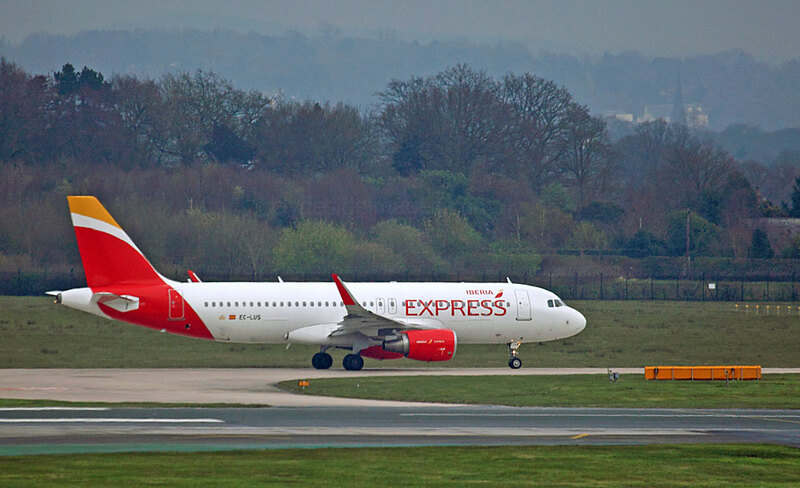 The above views of Iberia Express Airbus A320-216(WL) EC-LUS and Brussels Airlines Brussels Airlines Airbus A319-112 OO-SSQ were also taken from level 13 of the T1 car park, but in the afternoon by which time visibility had improved. 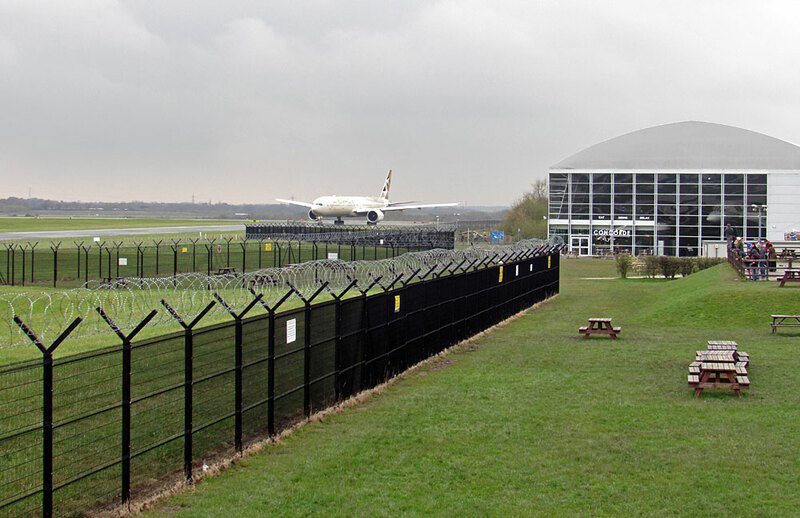 The Runway Visitor Park is contained within in the black-fenced area in the right-hand shot. 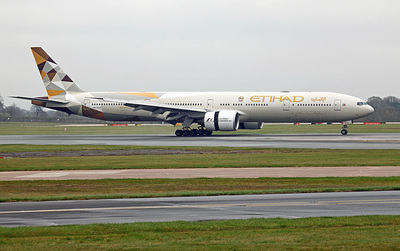 B-KQZ Boeing 777-367(ER) Cathay Pacific. 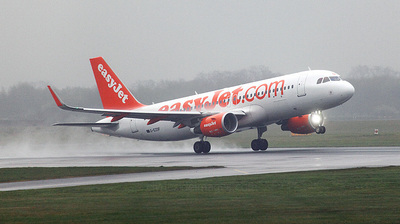 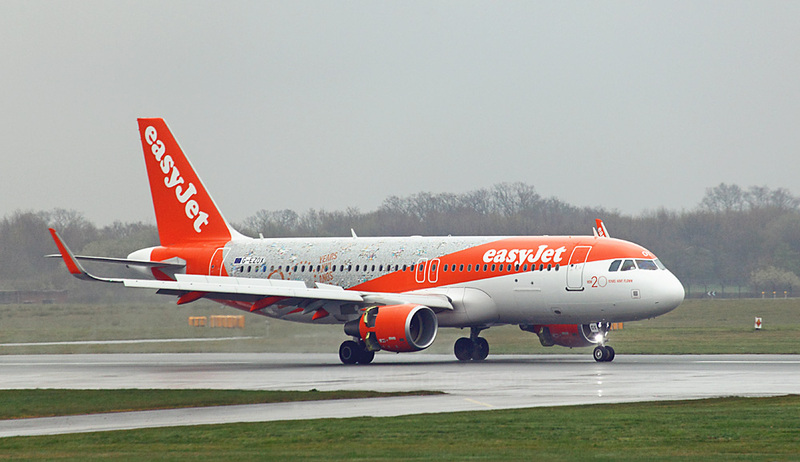 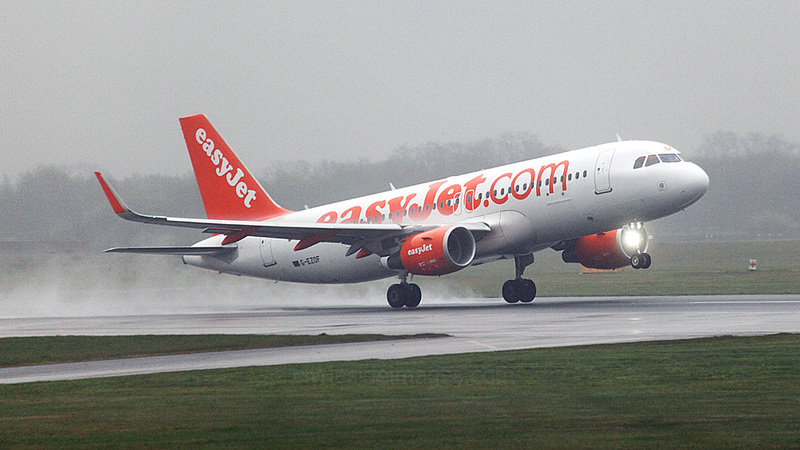 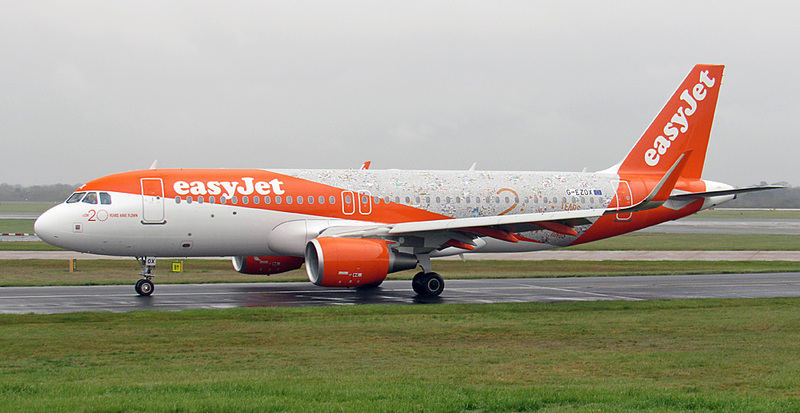 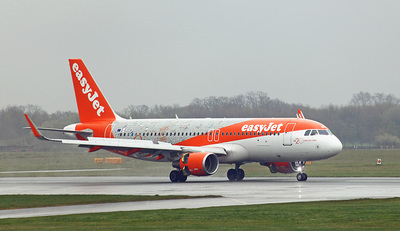 Airbus A320-214(WL) G-EZOX in easyJet`s 20th Birthday livery. 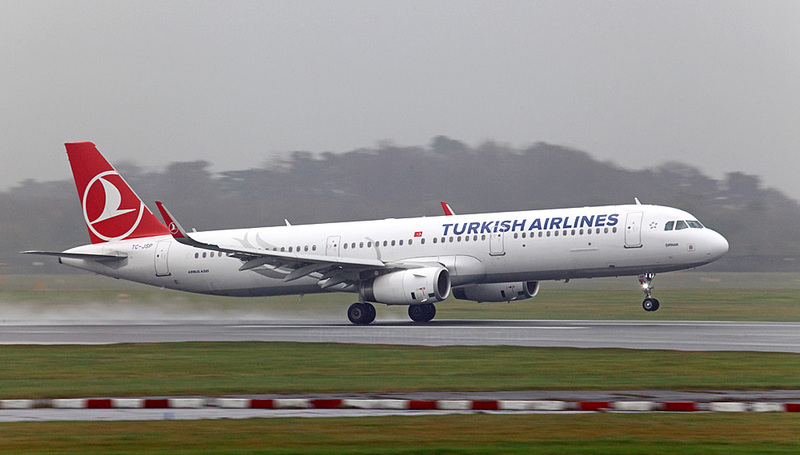 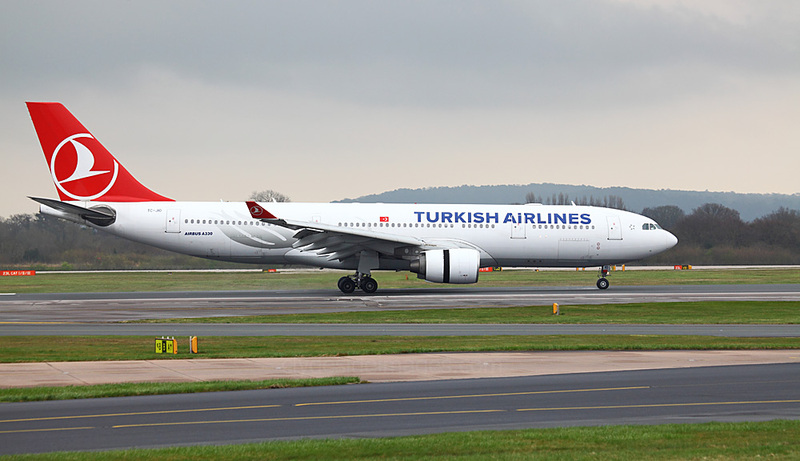 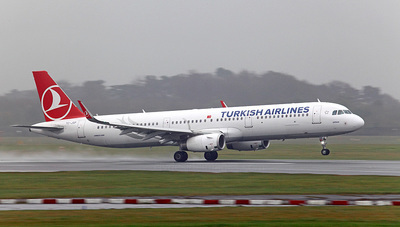 Turkish Airlines Airbus A330-223 TC-JIO operated its 6th visit on TK1995 from Istanbul. 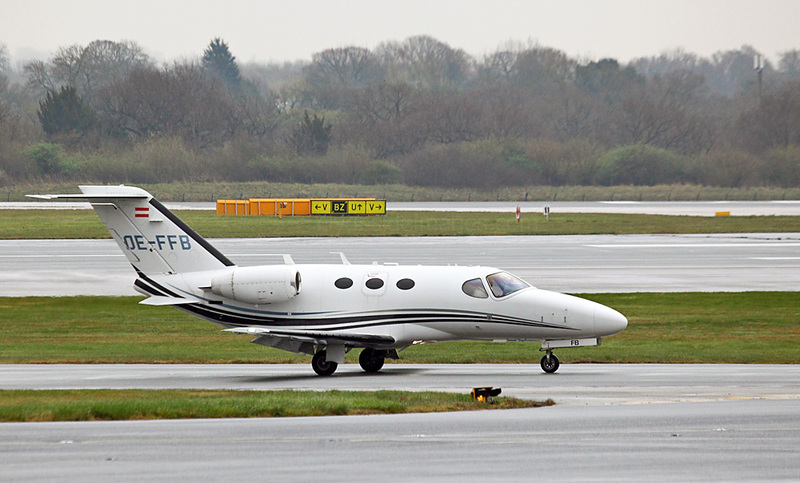 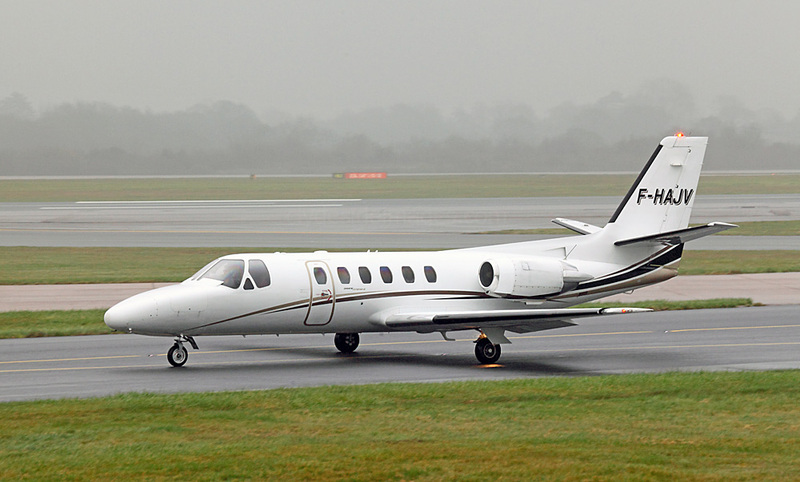 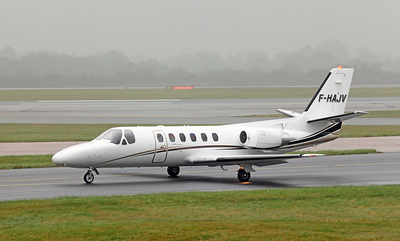 Citation 510 Mustang F-GLOS taxies past US-registered Bombardier Challenger 300 N184BK on landing. 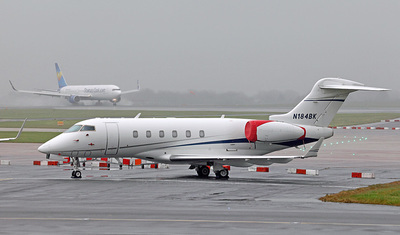 CitationJet CJ2 G-TBEA with Gulfstream G550 VP-CZB in the background. 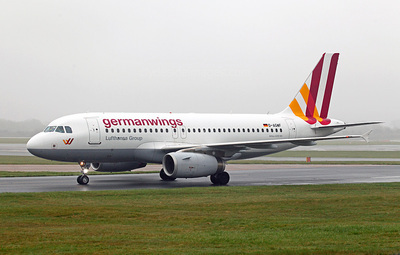 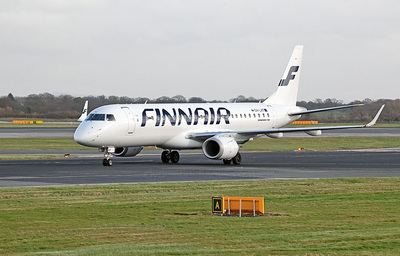 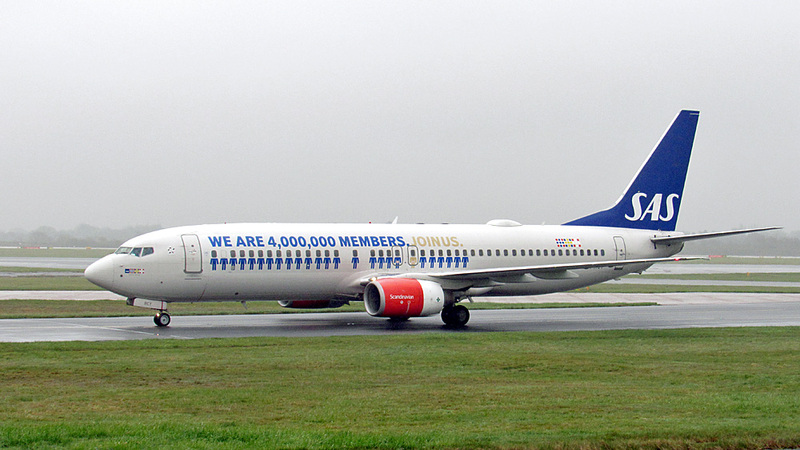 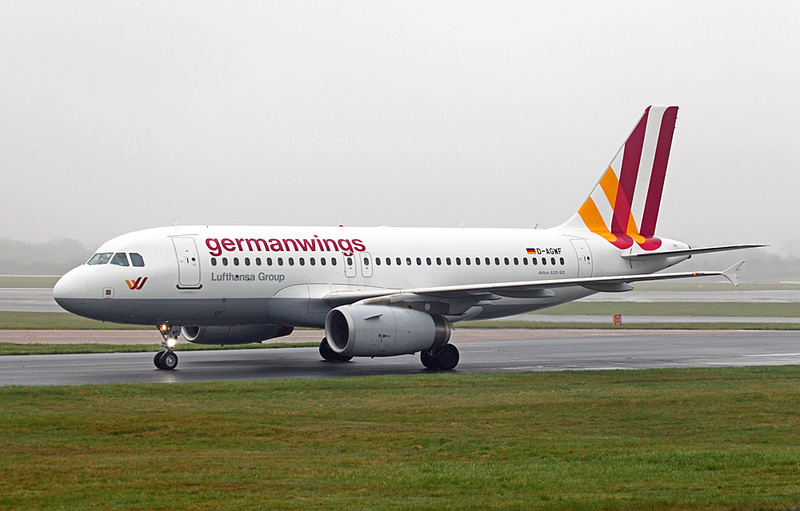 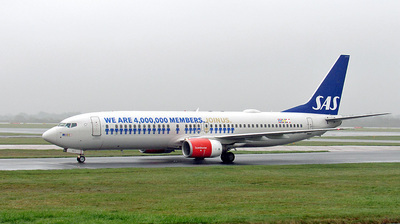 GainJet Aviation`s Boeing 737-400 SX-ATF. 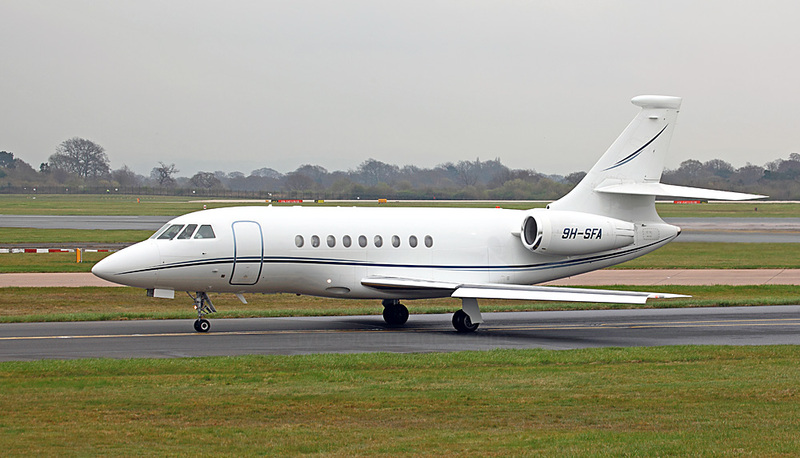 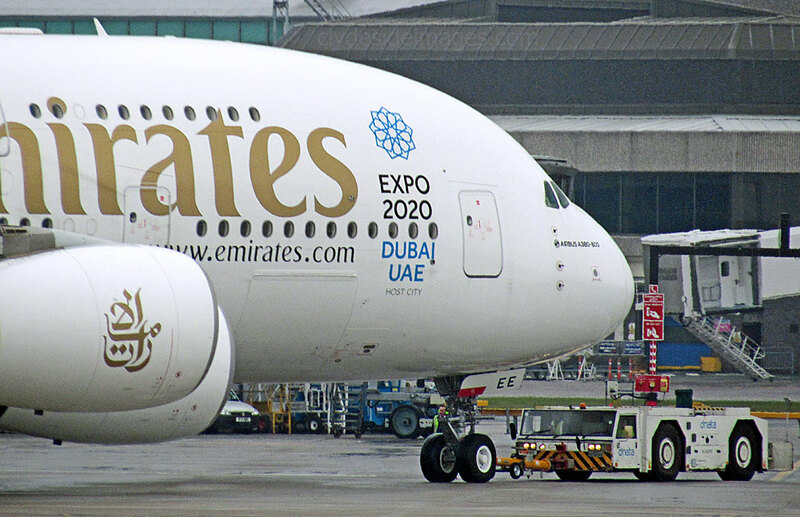 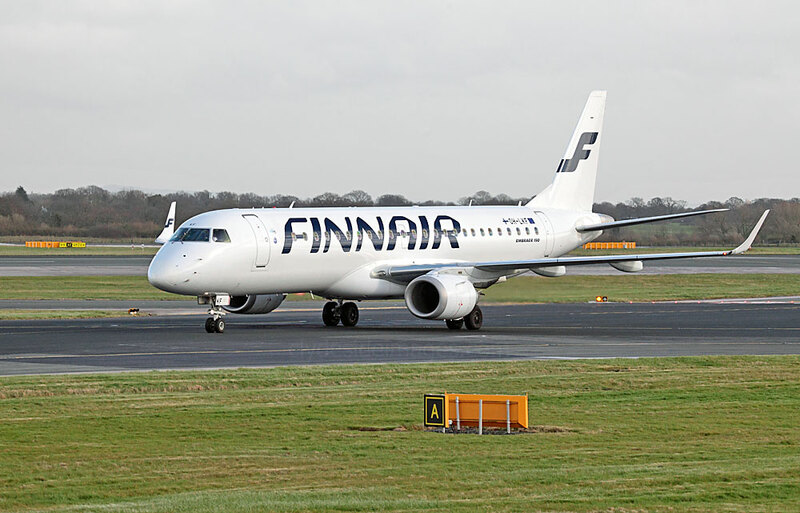 This Executive Airliner was refurbished in 2013 to VIP standard and can accommodate 64 passengers. 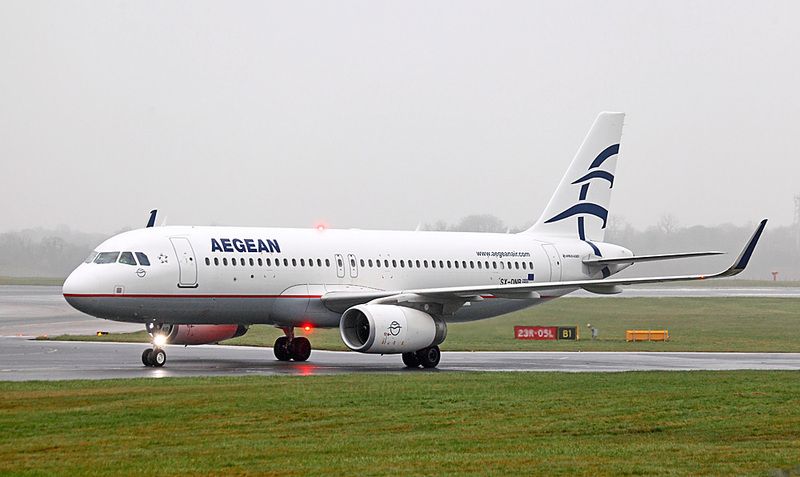 ​The private charter operator has its headquarters in Athens, Greece, with its aircraft positioned throughout Europe and the Middle-East. 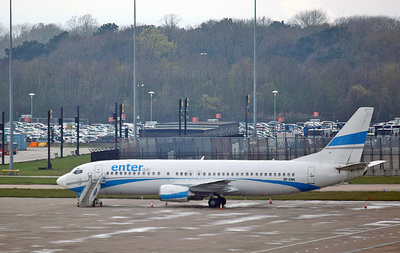 Gainjet`s fleet includes one Boeing 757-200 airliner with a stateroom & en-suite, one VIP Boeing 737-400, three Gulfstreams, an Embraer Legacy and two Bombardier executive jets. 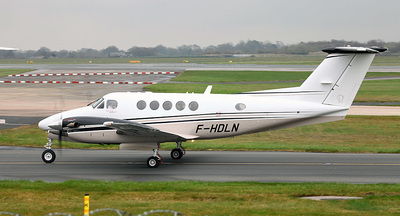 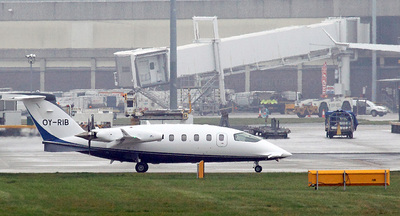 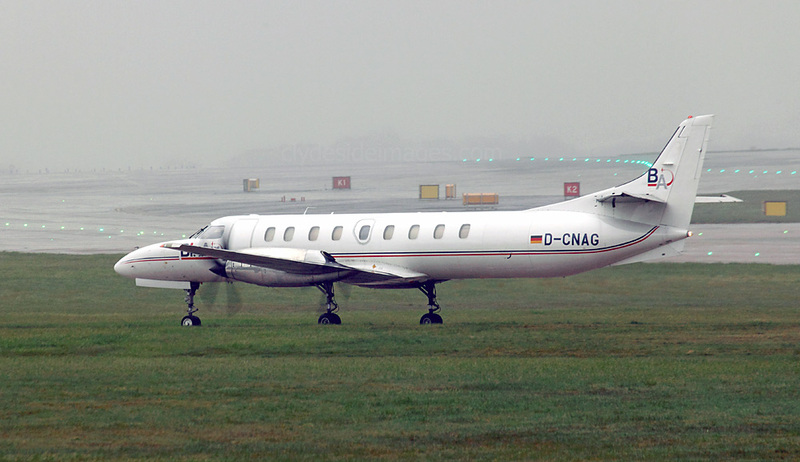 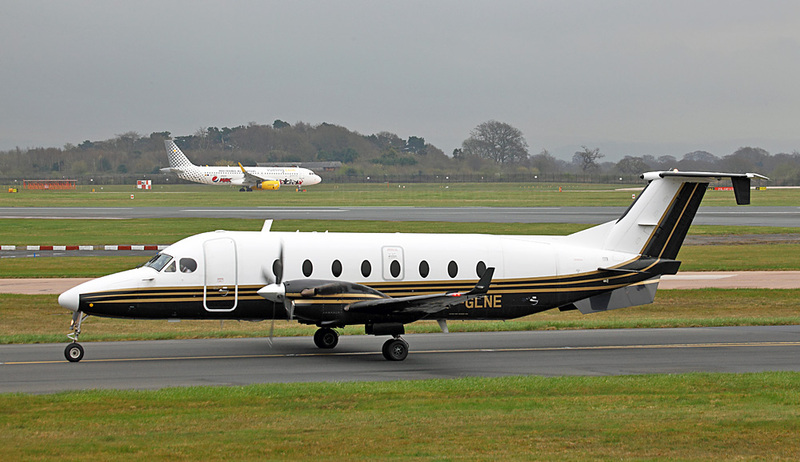 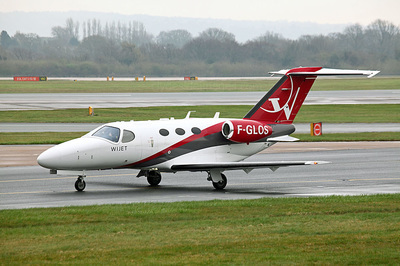 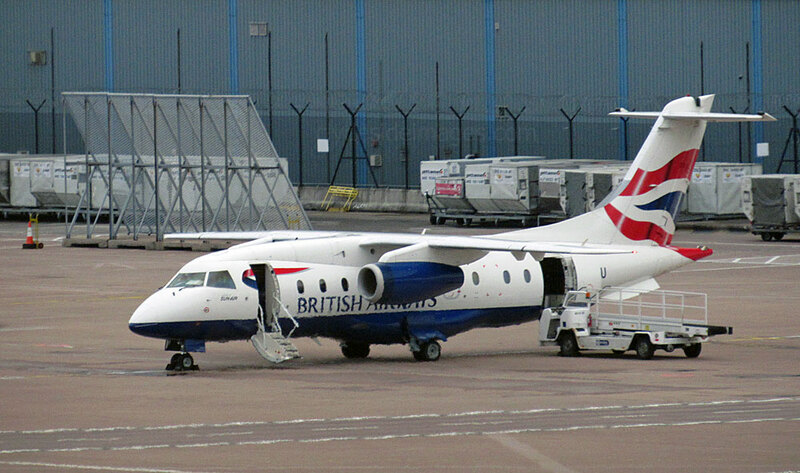 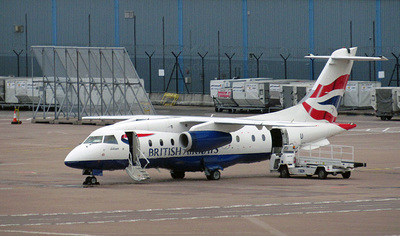 F-GLNE Beechcraft 1900D Twin Jet was one of the aircraft arriving in connection with the Man City v Paris St Germain Champions League game. 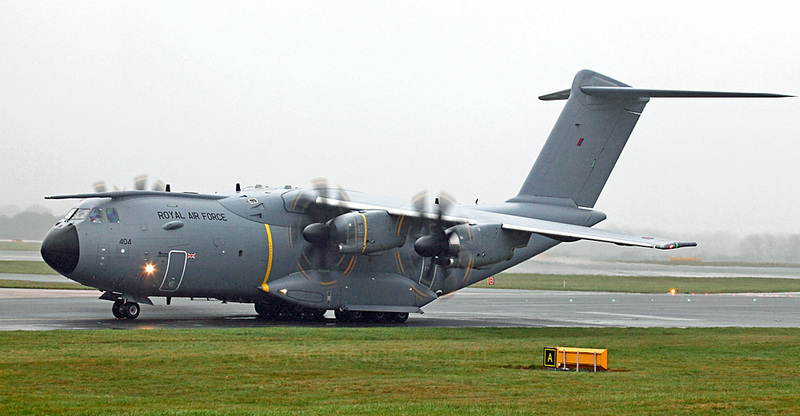 Two operational military aircraft put in an appearance: RAF Airbus A400M Atlas C.1 ZM404 using the call-sign `Ascot 410` landed at 1000hrs with a relief crew for C-130J ZH878 which had been parked on the Western Apron since the early hours. 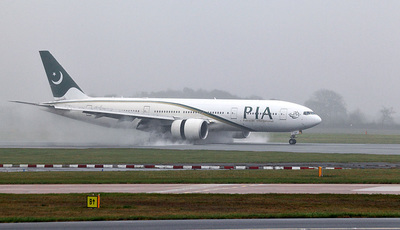 The Atlas departed an hour after landing and the Herc left in the early afternoon, the latter aircraft climbing steeply and immediately disappearing into the low cloud before anyone could get a decent shot. 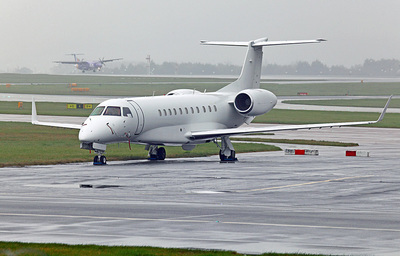 The Royal Air Force took delivery of its first Atlas on 17 November 2014 and a further 21 of these aircraft are expected to be in service by 2019. 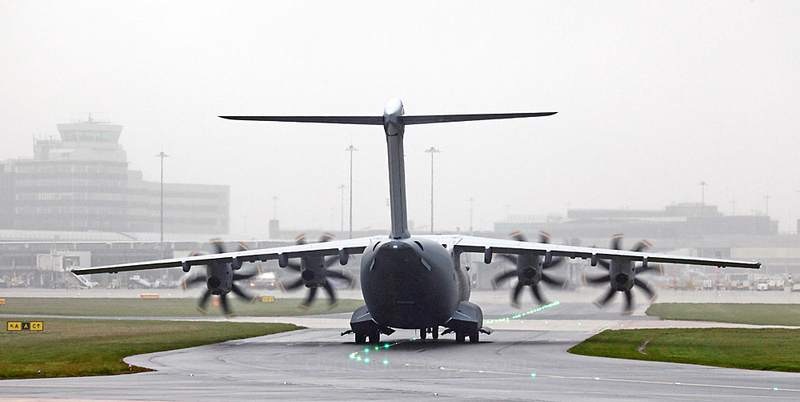 Although the RAF will employ the A400M's strategic reach and impressive payload capacity by initially operating it in the strategic air transport role, Atlas is primarily a tactical airlifter. It will eventually assumes the roles performed by the Lockheed Martin C-130J Hercules prior to the C-130’s planned retirement from RAF service in 2022.